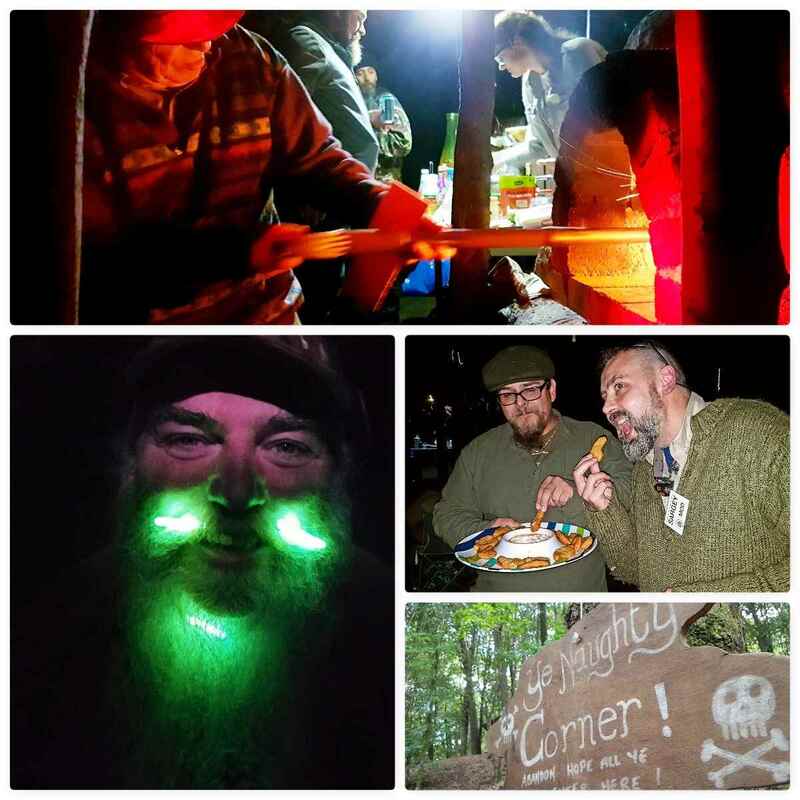 A ‘Brilliant Moot’ is how I would summarise this year’s Bushcraft UK Bushmoot. 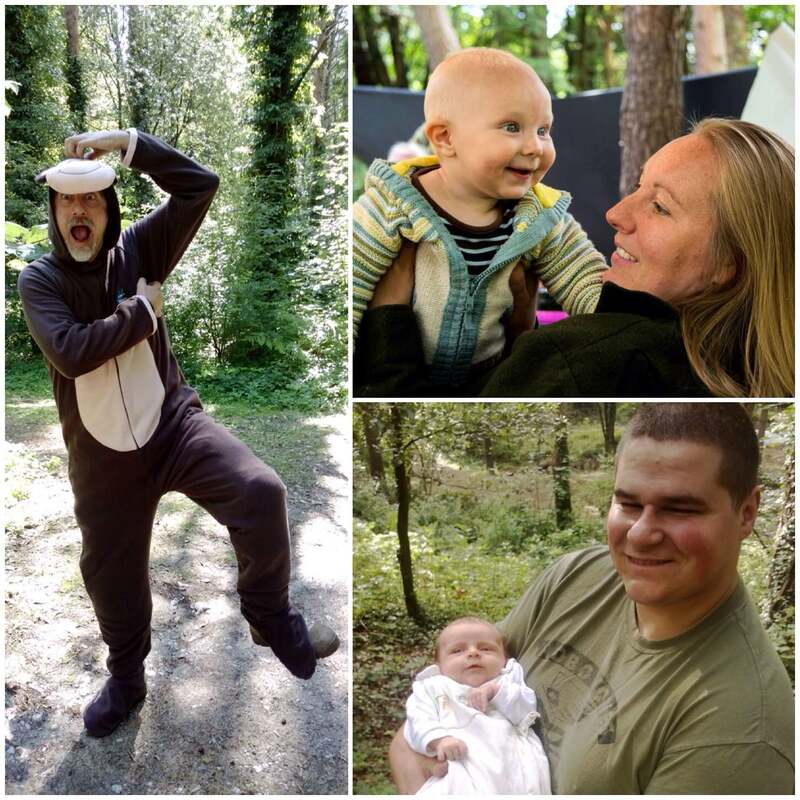 It was action packed from start to finish for me as I juggled my time between looking after my kids, running workshops and doing a lot of filming. I will let the pictures and video do most of the talking so will keep the text to a minimum. 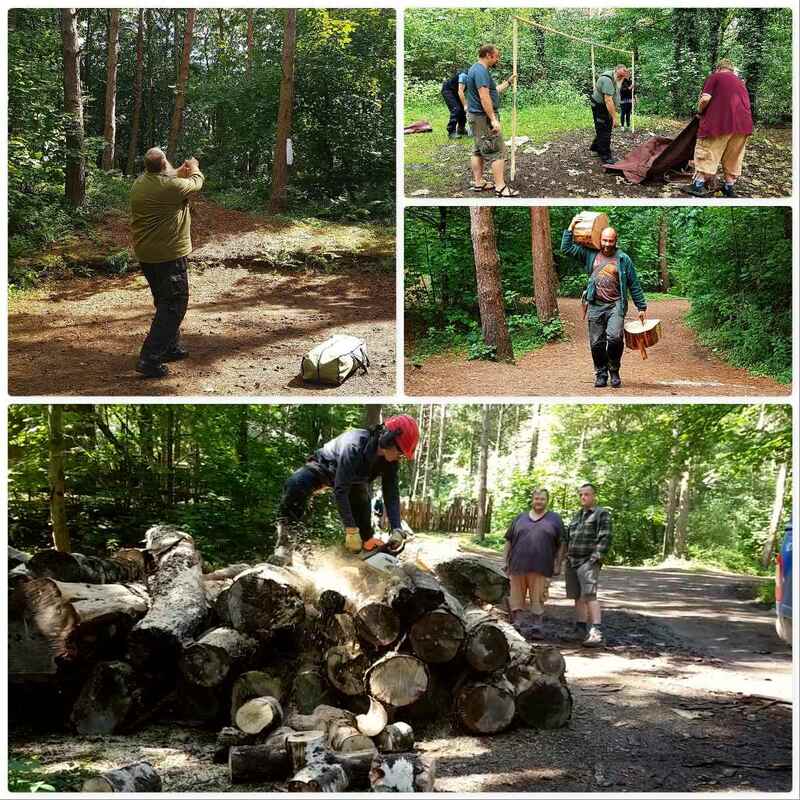 The first few days for us ‘Mods’ (forum moderators) were all about setting up the Bushmoot so that everything was in place for everyone arriving later in the week. We did not rush things as it was a holiday for us as well but over a few days the Bushmoot was soon set up. There are some great places to camp at the Bushmoot which makes for stunning photography. The Mods’ corner is great to photograph on a sunny morning. I have used the same camping spot for a number of years now and even though a year passes between each visit it feels as if I have never been away when I return. 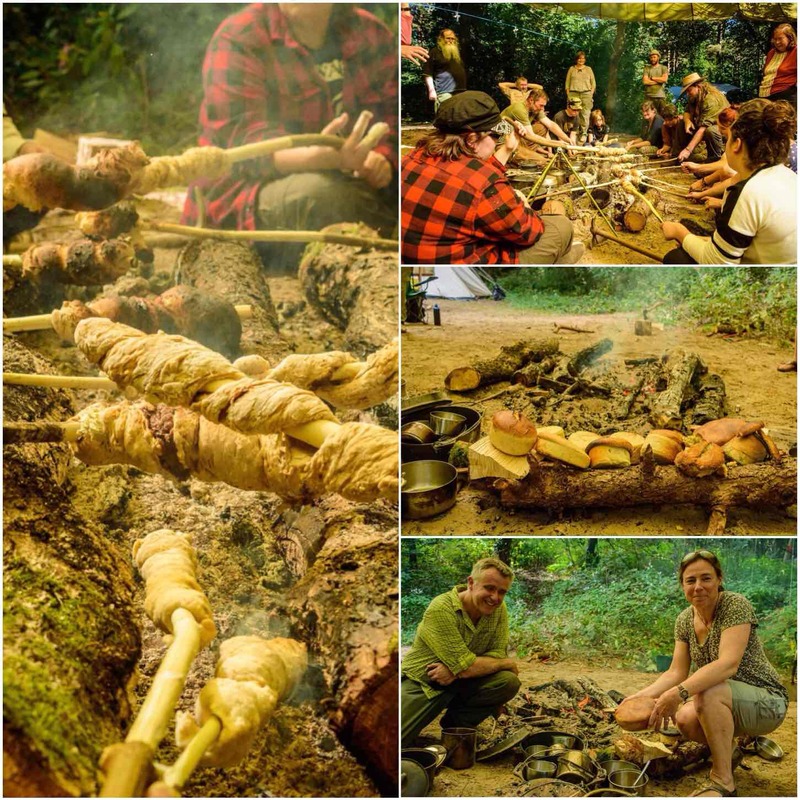 There were a couple of early workshops this year – Open Fire Cooking with Neil and a 48hr Survival Course with Fraser from Coastal Survival. 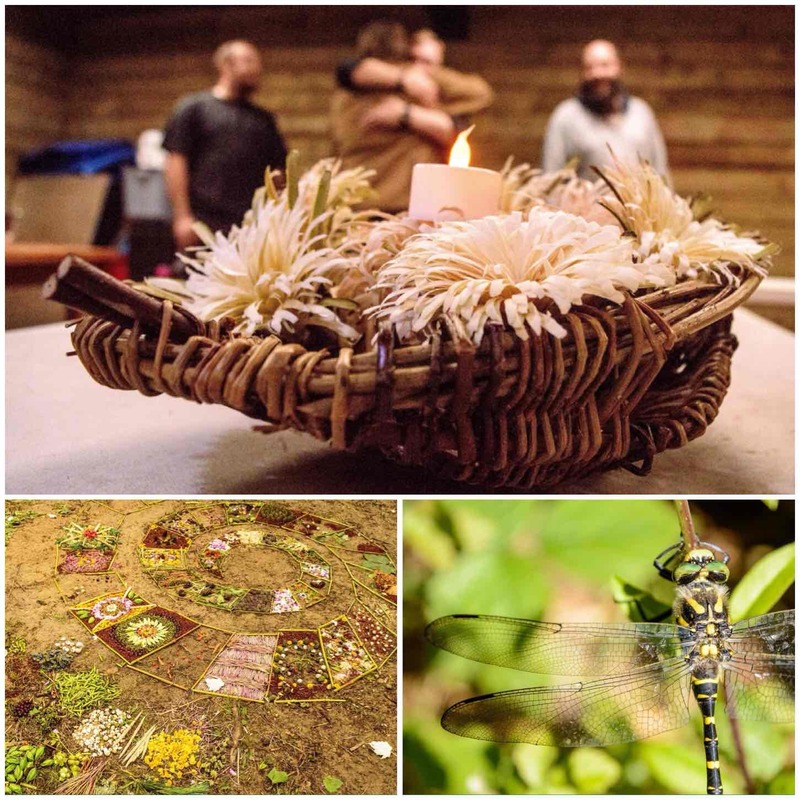 Both courses covered a lot of different areas so my photos are just a snapshot of their content – needless to say on both courses all the students eat well. Also a short video on the Lolli Stick Fire on Fraser’s course. 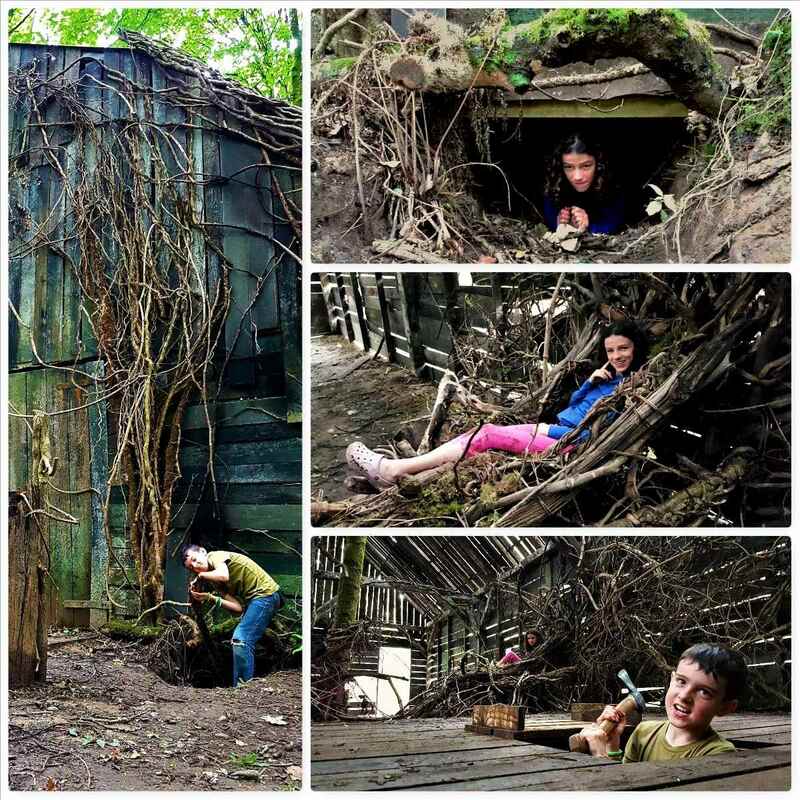 In amongst all these workshops and general setting up my kids took themselves off exploring. I went with them on one jaunt and they took me to the ‘House of Doom’ (as they referred to it). I think film companies use the site and they had left this massive Gothic barn – quite beautiful but eerie at the same time (the axe was for posing with only by the way). 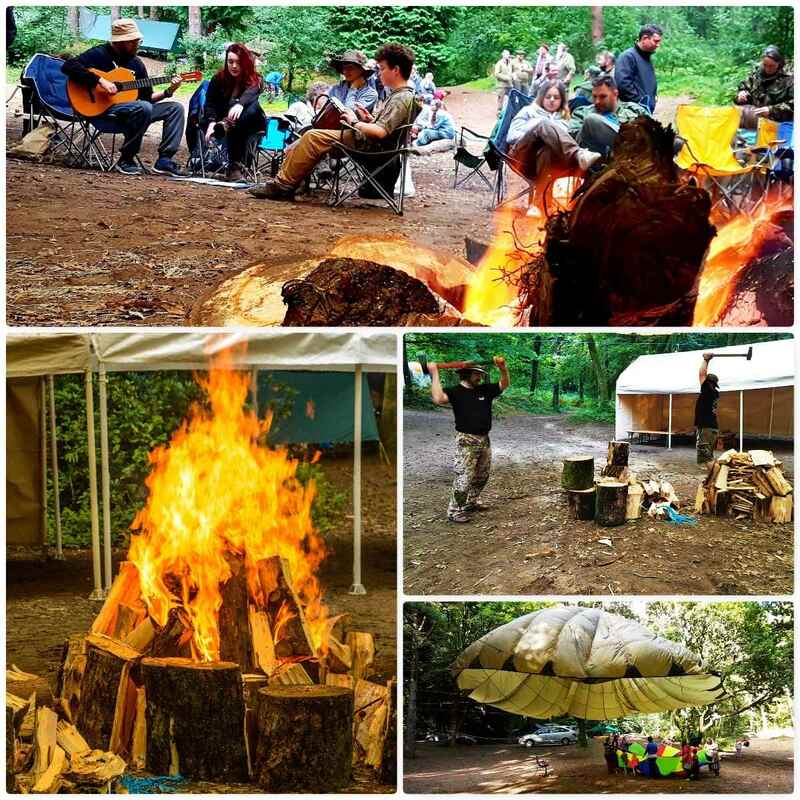 The Bushmoot is all about ‘Family’ as far as I am concerned – this family extends out to all my Bushmoot friends I see time and time again as I return each year. Getting out of the woods one day with my friends Ian, Catherine and Liz (and assorted kids) we went Dune Diving. Merthyr Mawr sand dunes are the second highest dunes in Europe, apparently, and there is one dune in particular that the kids love. 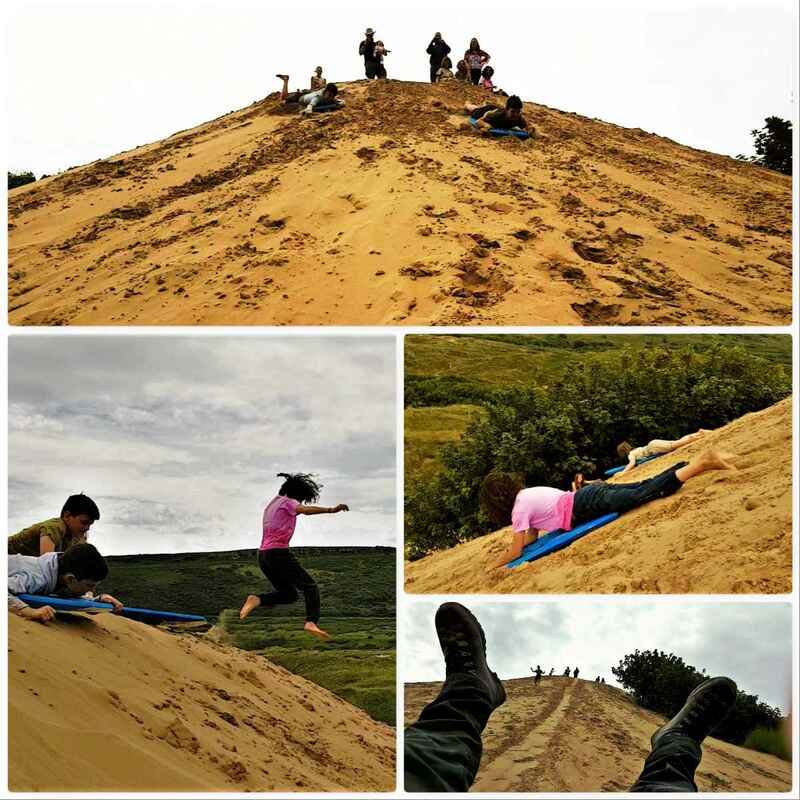 Needless to say I joined the kids as they threw themselves down the dune – great fun even for a 50-year-old kid like me. I have no idea how many different workshops we ran this year and I only photographed or filmed a small number of them. We always start with a tool safety presentation (normally three different groups) before starting the main workshops. 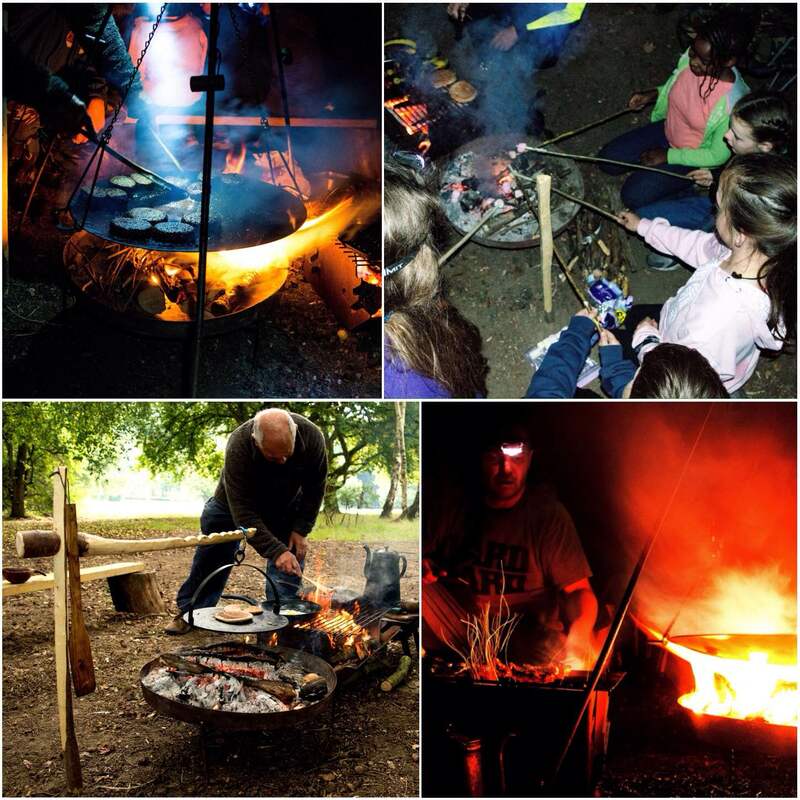 Fire lighting in its many different forms is a staple of the Bushmoot and this year was no different – below are pictures from the bowdrill, the damp tinder and the flint and steel workshops. 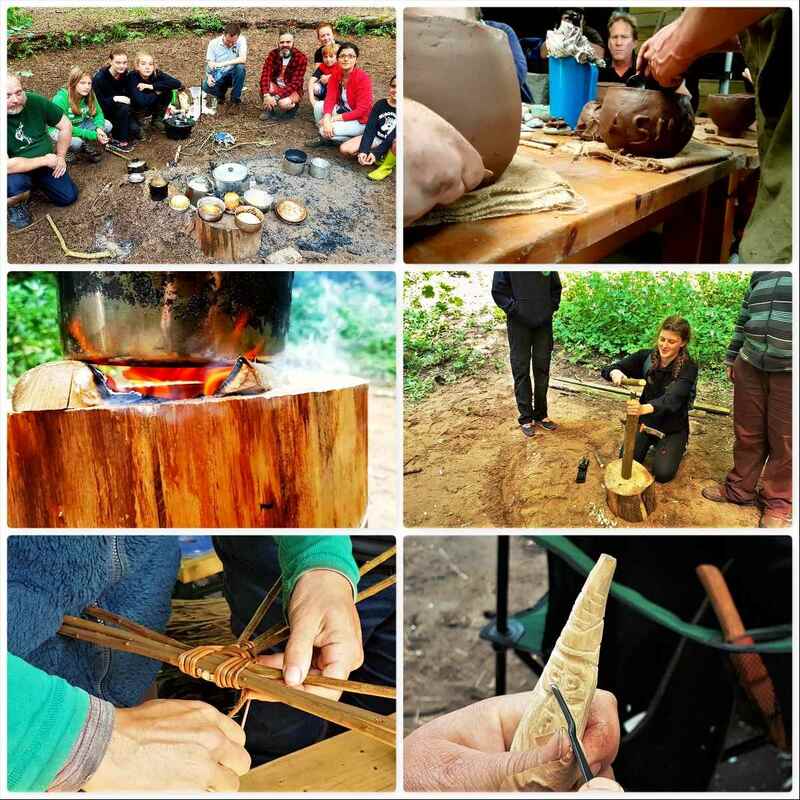 Other workshops included Baking, Pottery, Rocket Stoves, the Starter Course, Basketry and Wood Spirits (to name just a few). Watch the video to get a feel of the subjects we cover at the Bushmoot. 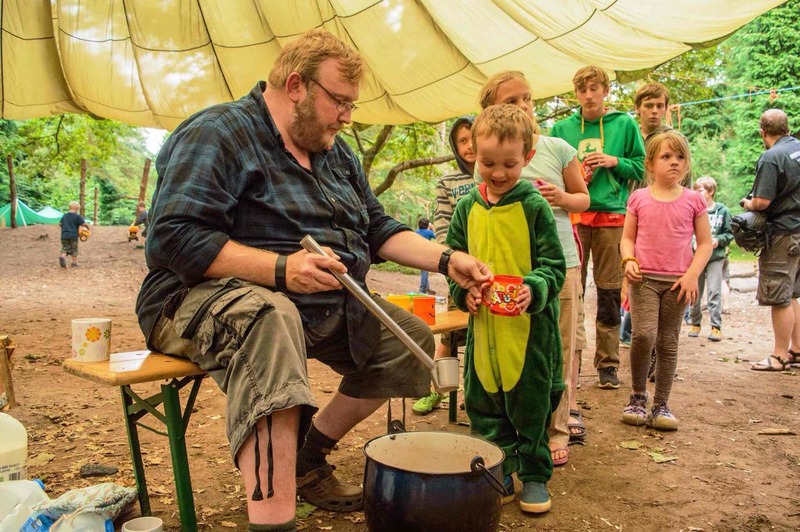 I am no great chef (tend to prefer building Campfire Cooking Constructions) but can when needed put something together – thankfully though there are plenty of people around like my wife Alison willing to put together a good spread for the kids and myself. Highlights of the Bushmoot are the Group Meal and the Hot Chocolate evening. A favourite of mine has always been the archery range. We had another great competition this year. The winners from last year (Marek and Louey) were also presented their made-to-measure bows from Wayne Jones of Forest Knights. 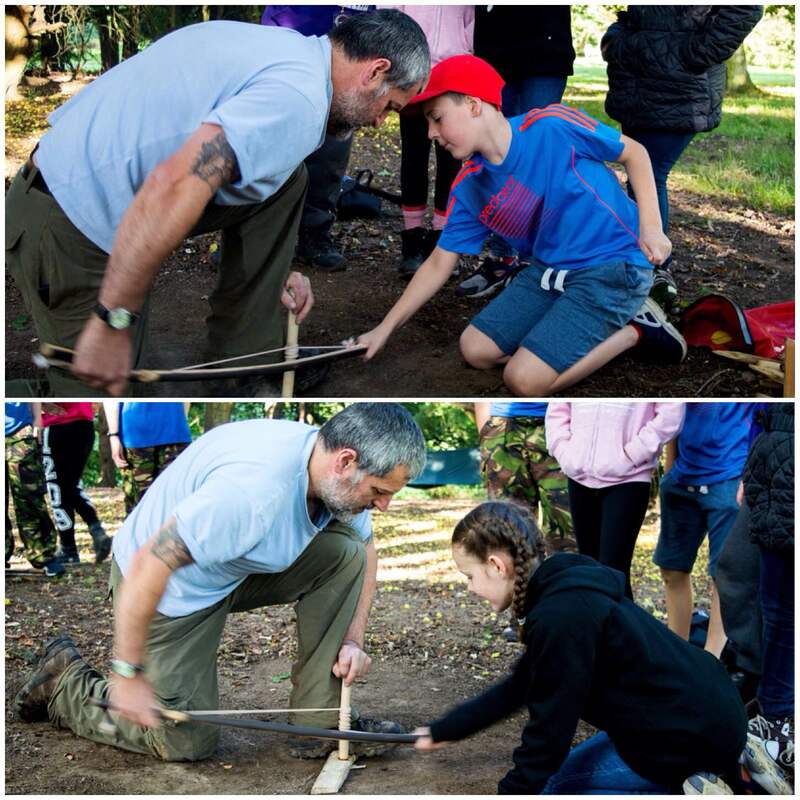 This year we also had a catapult competition run by Steve (Mesquite) Harral and a workshop from David Colter on the Pellet Bow. Around the site we had various smaller ranges for axe, spade and pin throwing. No Bushmoot would be complete without the Naughty Corner and I try to get up to it for an hour or two each evening. 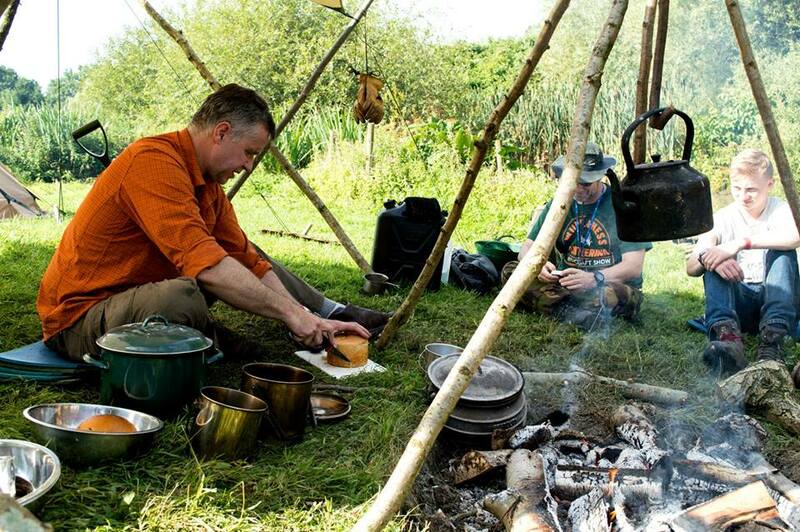 This year my friend from the Sea Cadets Alan Lewis joined me at the Bushmoot for the first time and as he is a chef found himself drawn to the pizza oven. The evening socialising is not restricted to the Naughty Corner – usually for a couple of evenings lots of folk congregate under the big chute by the kids sandpit for a bit of a shindig. We were supposed to have a band along one evening but for some reason they failed to show up – thankfully Marek and Gemma with some others started their own musical session that lasted well into the evening. This is where we meet each day, talk about what will be happening, answer questions and celebrate people. The Bushmoot is run by Tony and Shelly Bristow (along with us volunteer Mods) and as often happens the Bushmoot coincided with Tony’s birthday. We also remembered our dear friend Drew who passed away so tragically at a young age in 2013. We do this by giving each year an engraved Swiss Army Knife to the person we feel has contributed most to the Moot. All this talk of fun would not be complete without mention to what we organise for the kids (I mean the young ones here). We are not against technology and I am happy to let my kids watch a movie in the evening by the fire (gives me a breathing space to get on with camp chores). 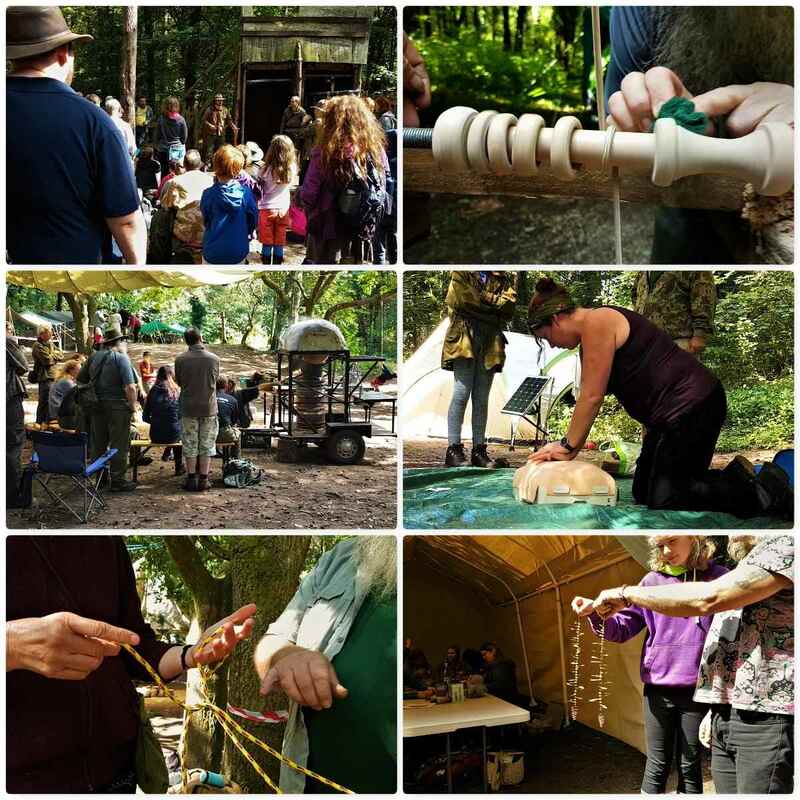 The Bushmoot is a family friendly place and there are always workshops and games planned in for the kids. When there are no planned activities the whole estate is their playground and it’s great to see my kids roam free as I once did as a kid growing up in the Western Isles. My last video on the Bushmoot looks at this ‘Bushmoot Life’. When I popped up to the Naughty Corner one night I got chatting to our chefs Phil and Magda and found out that they had just got engaged – Phil had popped the question to Magda that day down on the beach and she had said yes. 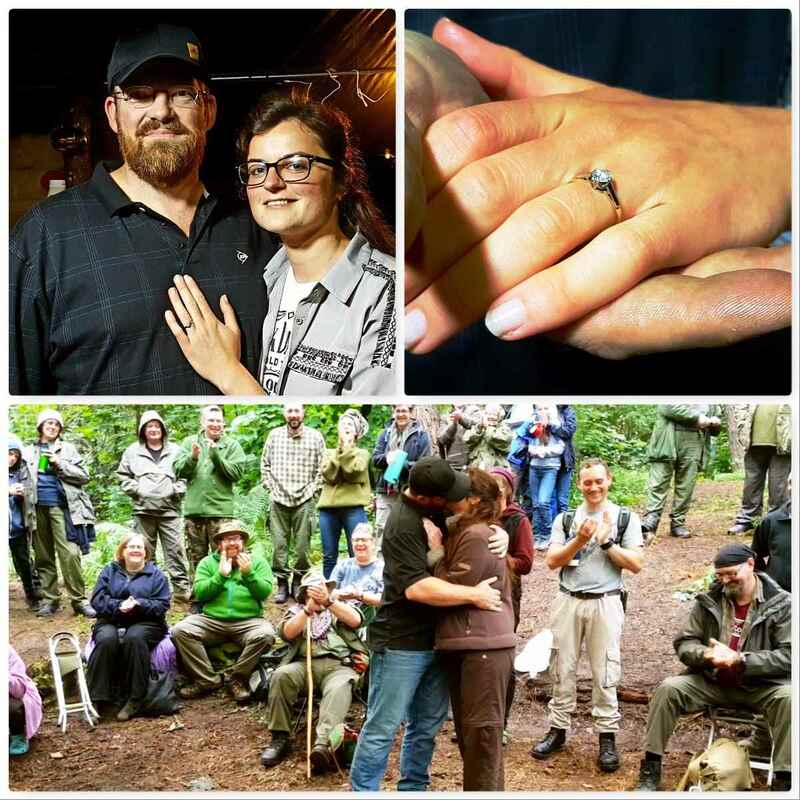 The next day we got Phil and Magda to announce the engagement to everyone under the Main Chute – congratulations guys. I am mostly to be found behind the camera lens so you do not see many pictures of my silver mop at the Bushmoot. Over the last 10 years I have really embraced photography and am always on the look out for something unusual to snap. Fire Faces are a favourite of mine – spotted the BFG in one snap I took this year – but there is always something interesting to photograph at the Bushmoot. This year at the Naughty Corner it was hard to miss the fact that the fire was making a good impression of a Rainbow. It turns out that Cap’n Badger had acquired some Mystical Fire and popped it into the fire. I took a few snaps of the flames and caught a lovely shot that I call ‘The Dancer’. 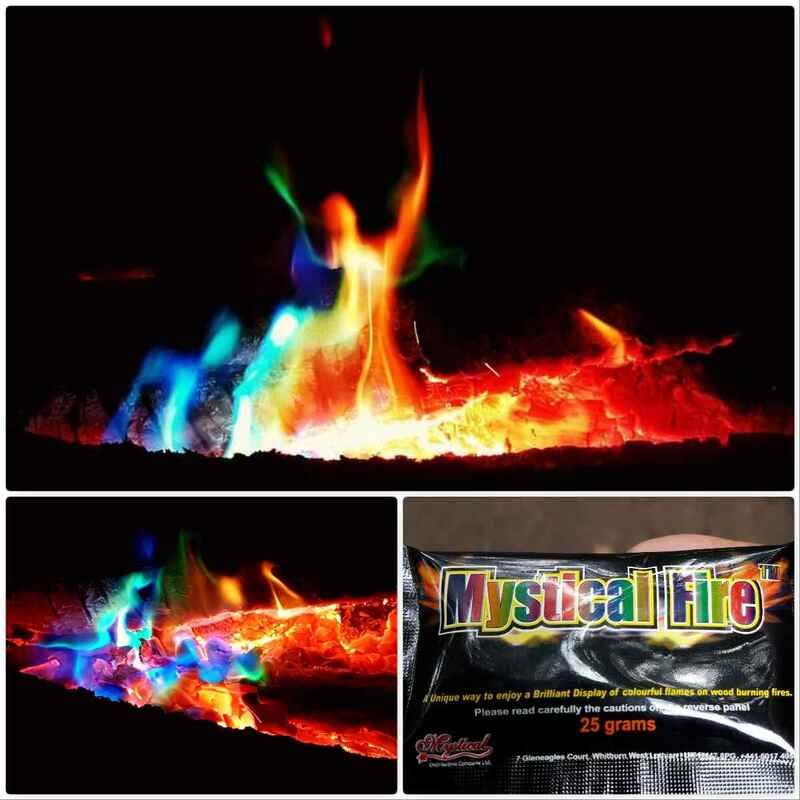 My kids loved the stuff and so we popped a couple of sachets on our campfire one evening while they watched a movie. My wife Alison did not attend the whole of the Bushmoot (she pops back and forth from home over the fortnight) as she runs her own publishing company and this year was focused on finishing the first draft of her own book while we were at the Bushmoot. That is it from me on the subject of the 2017 Bushmoot. Thank you to Tony, Shelly, all the Mods and all the other helpers who organised everything and helped make it such a magical two weeks. 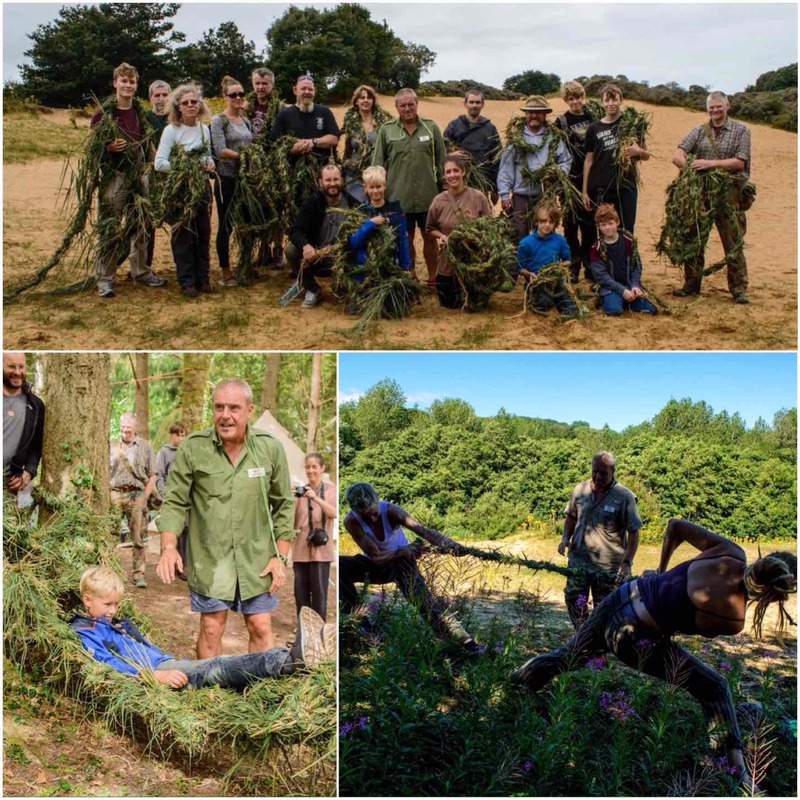 My 100th YouTube video is of the BCUK – Bushmoot ‘Core Days Workshops’ – Hope you like it…..
Every now and then a nice little weekend comes along – this trip to Crowborough Army camp with the Sea Cadets was one of them (not often you can say that with Crowborough). My friends Dave and Alan Lewis had already set up camp when I pulled up ( I had been at Woodcraft School that day so was running late). 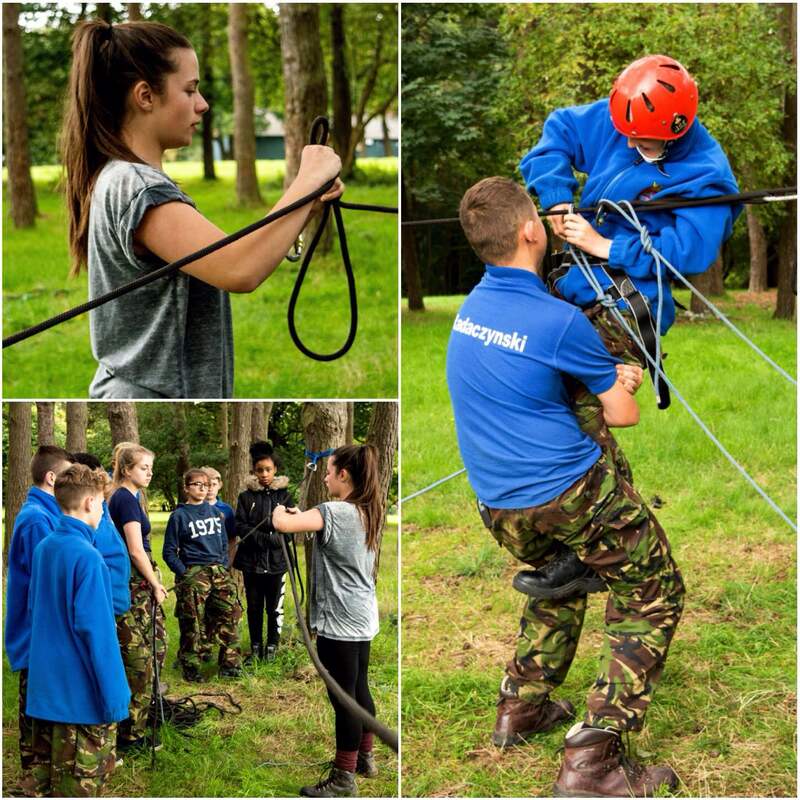 We had a group of 5 senior cadets and a party of Junior cadets to train in campcraft over the weekend. There was other training going on in the camp but we were separate from all that in the woods. 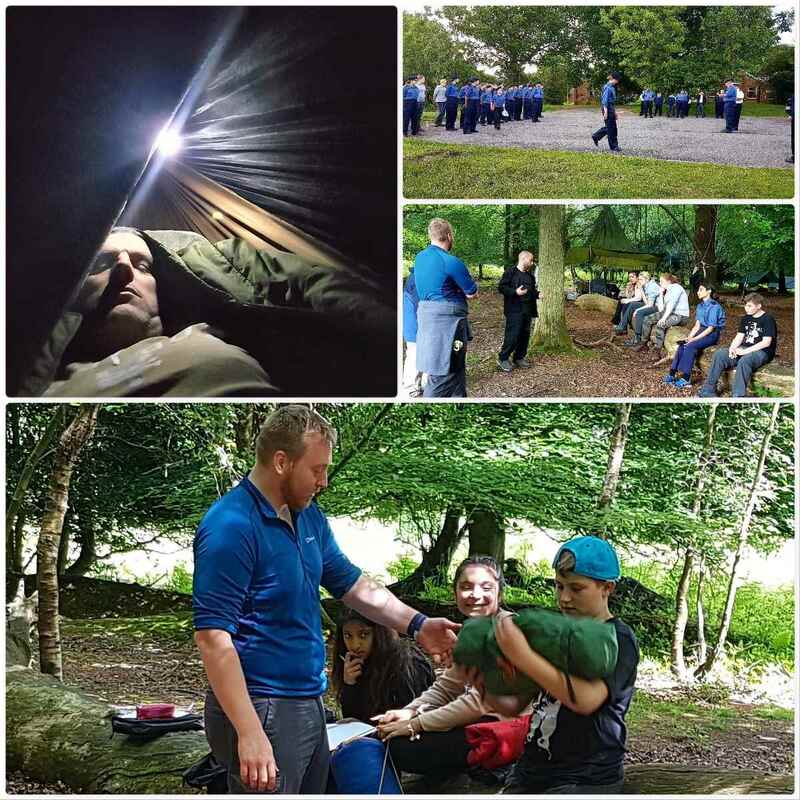 Along with us was Gary Brodie-Barratt who is under training for his Basic Expedition Leadership award. 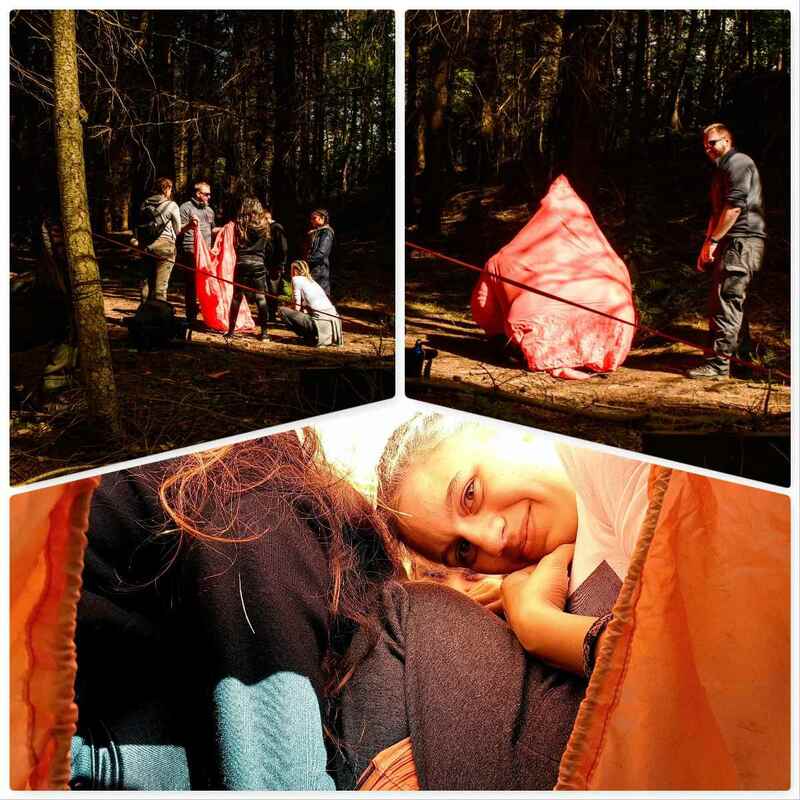 Under supervision from Dave, Gary led a lot of the classes covering subjects such as kit, clothing and tents. While they were cracking on with these classes Alan and myself were preparing for an influx of Junior cadets later that afternoon. I did though get out with Dave and Gary when they set off to do some navigation. 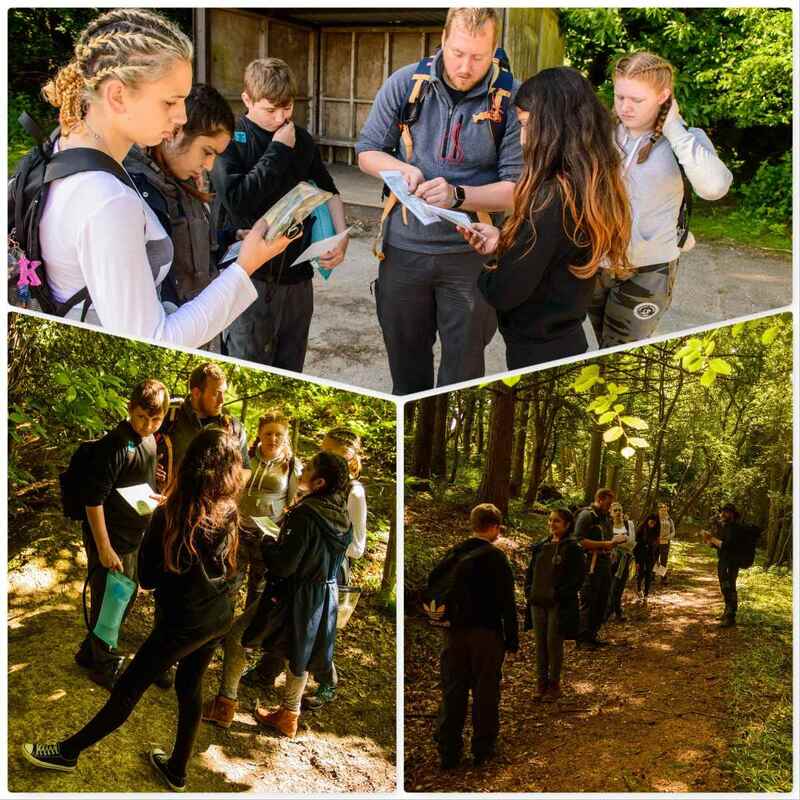 Some of the cadets were learning map reading for the first time and some were on our intermediate course which focuses on compass work a lot more. Everyone though gets to play with the bothy bag – this little bag is a real life saver when you are in very exposed conditions. The cadets learn how to use one in a safe and controlled manner so that if they ever need to use one for real they will know how to deploy it correctly. After lunch the Juniors arrived and the peace and tranquillity of our camp was shattered 🙂 These Juniors are so keen to learn that it is a pleasure to teach them. 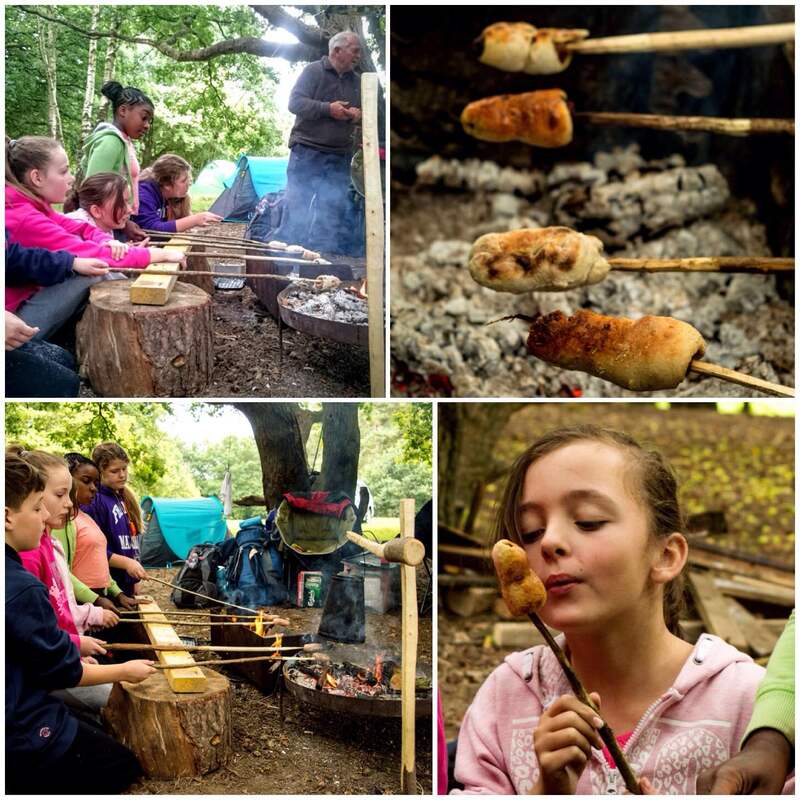 We got them fire lighting first and soon had sausages, bread and marshmallows on the go. 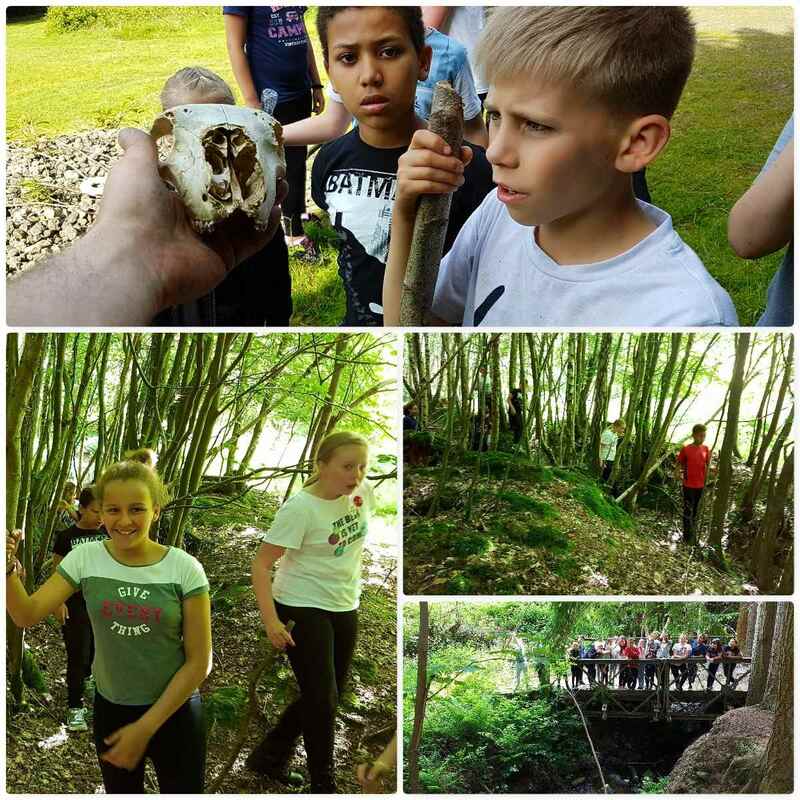 Later on I took them on a nature walk (with a little bit of navigation thrown in) down through the old World War 1 training trenches running beside the camp. 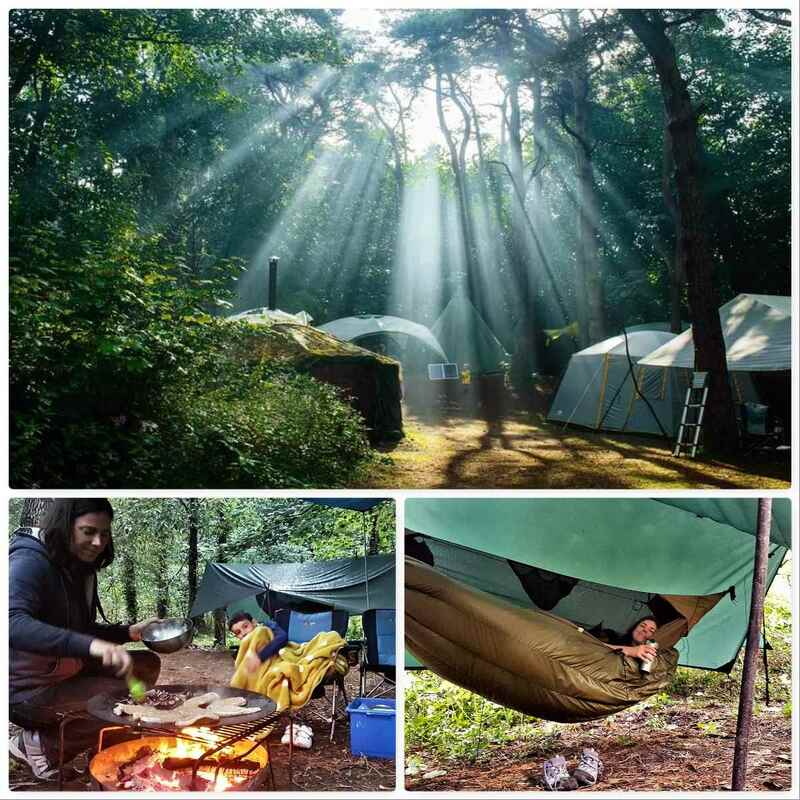 We had cracking weather all weekend, did not have to share the woodland with any other groups (always a bonus) and for once had plenty of staff on hand – all in all it made for Happy Campers. Below are my favourite shots of the weekend (so want one of these blow up seats). 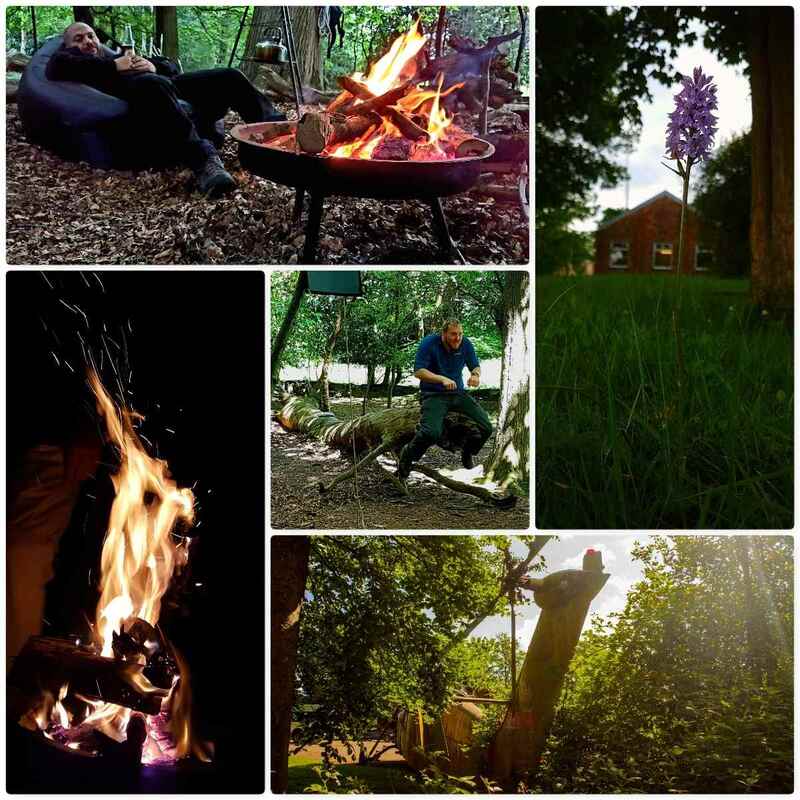 I have finally put together the little footage I took last year at the Bushcraft UK Bushmoot. A nice reminder of what is coming up next August when the 2017 Moot kicks off. 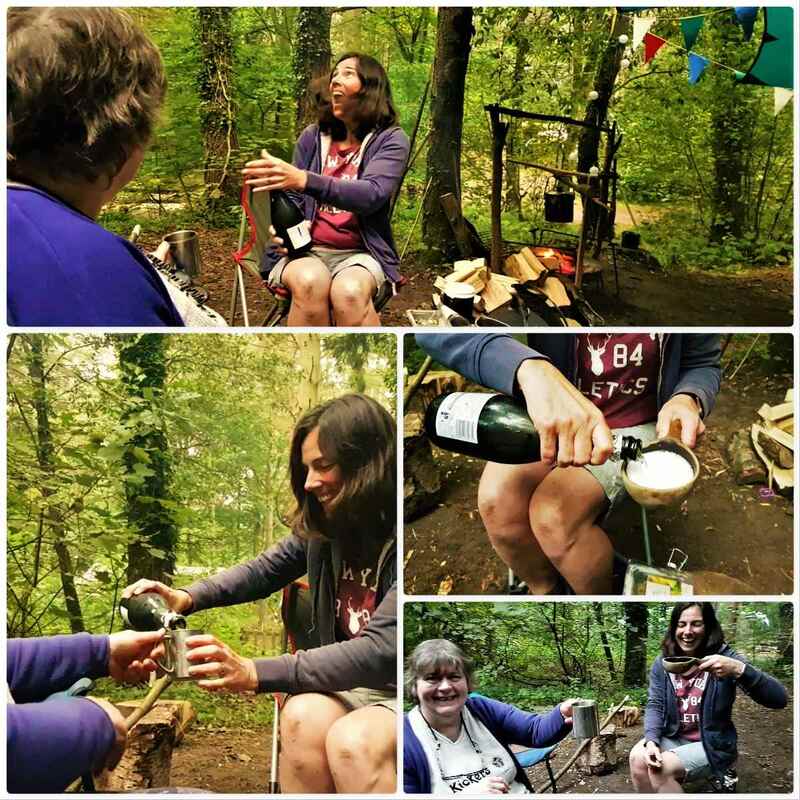 As family holidays go the BCUK Bushmoot is hard to beat. 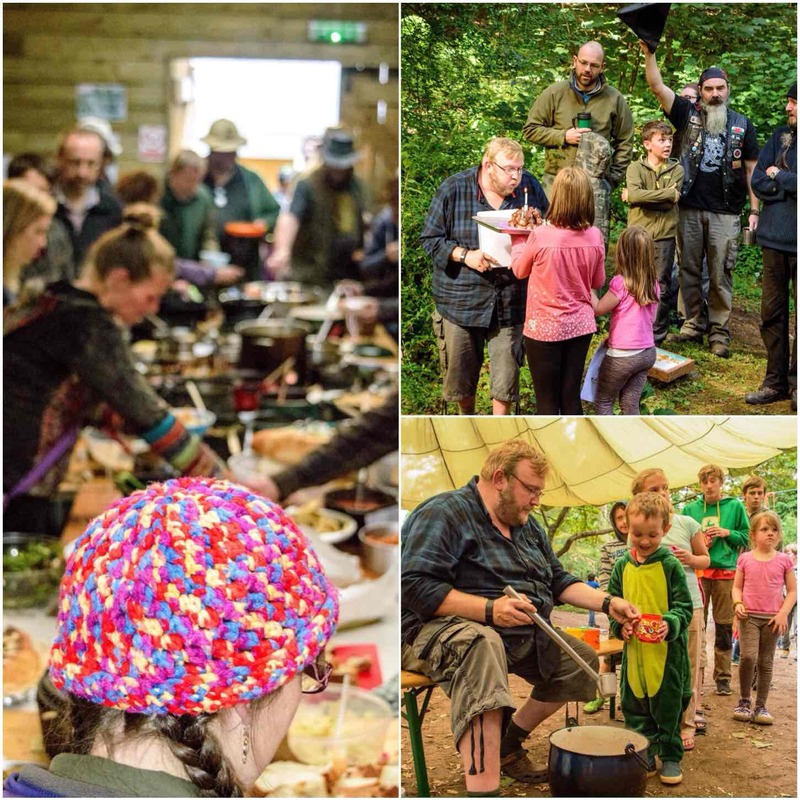 It has it all, with activities for all ages, a stunning location and people who are happy to share their knowledge with you. The week started with three days of wet weather however that did not stop us getting out and about. I spent one day with my friend Fraser Christian (Coastal Survival) setting nets and lobster pots out on the coast for a class he was running. My family spent two weeks at the Bushmoot in early August and the kids cannot wait until next years return trip. 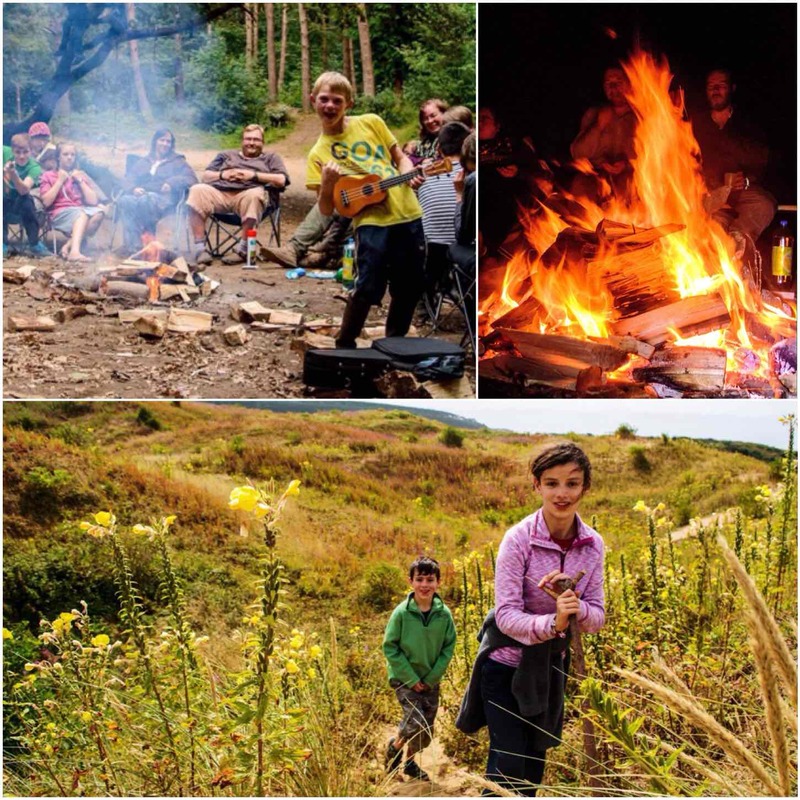 The Bushmoot is held on the Ogmore Estate by the beautiful Merthyr Mawr sand dunes in South Wales here in the UK. While the kids were off playing I was busy with running or attending classes. 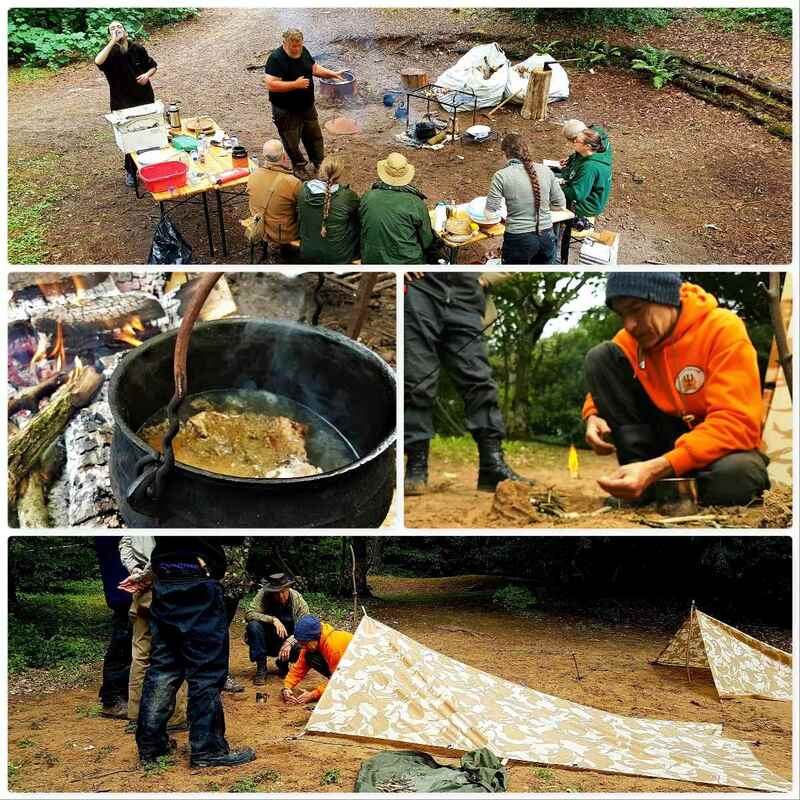 Once again this year we ran a Starter Course for anyone new to Bushcraft. Alison decided though to crack on with some more spoon carving this year with our daughter Catherine under Deans watchful eye while Finlay got on with climbing everything he could find.. 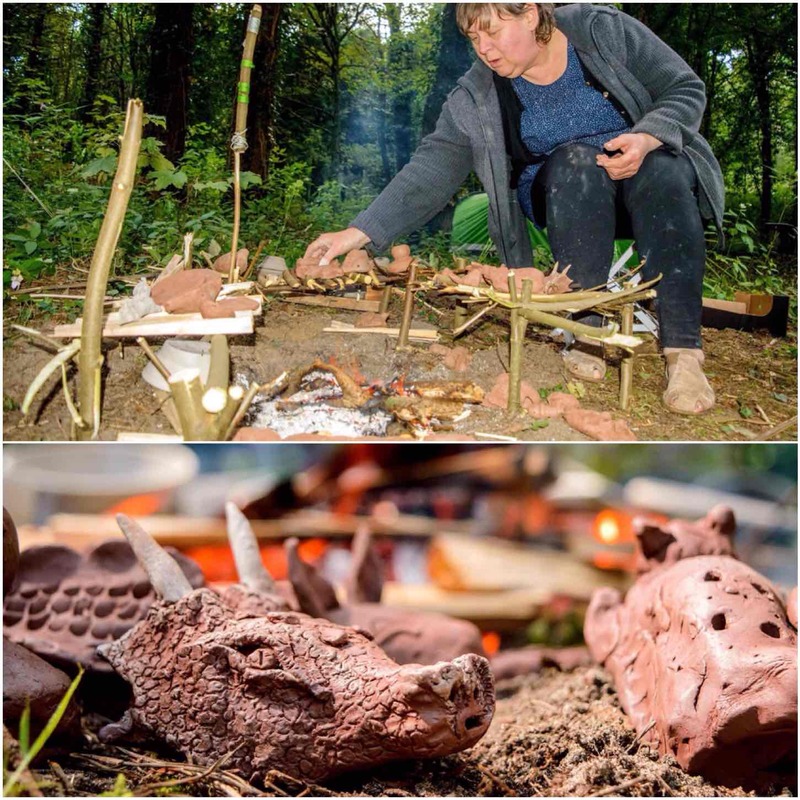 This year I spent some time with Anita (our resident potter) discussing how to make a primitive pot for extracting birch bark oil. Anita came up with a design for me which I am hoping to try out in the winter. Anita ran a number of sessions and a particularly popular one was making clay whistles. A course I thoroughly enjoyed this year was Perry McGee’s (National Tracking School) grass rope making (I had attended last years one as well). I really like Perry’s style of teaching – it is relaxed in one way however he really does make you work :-). 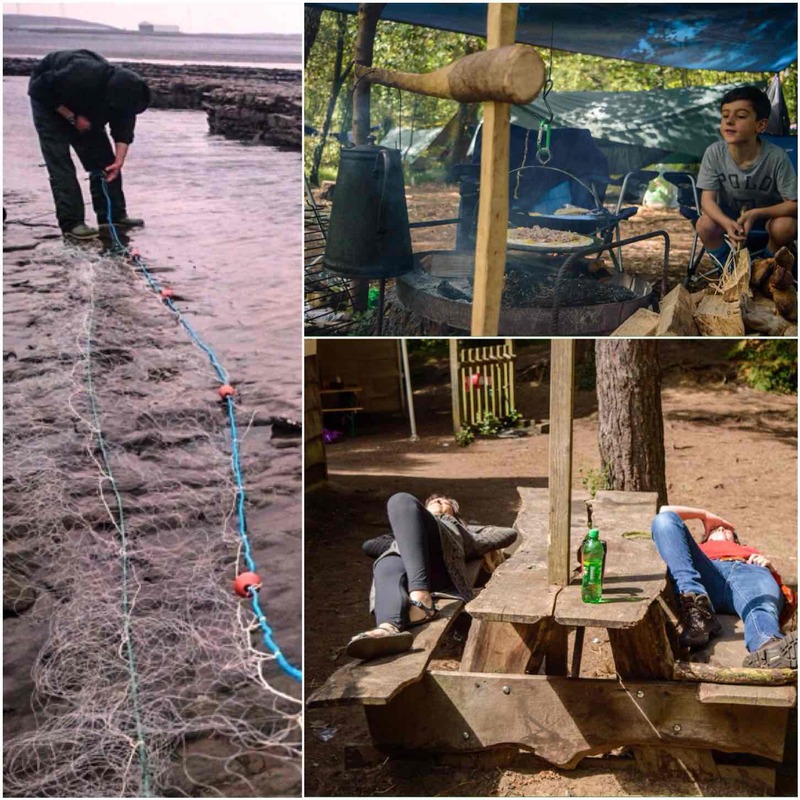 The whole group made enough rope from grass to make a hammock that took the weight of anyone in the group, This is a skill I have been looking into more after seeing rope that was made out of heather recently up on the Isle of Lewis. 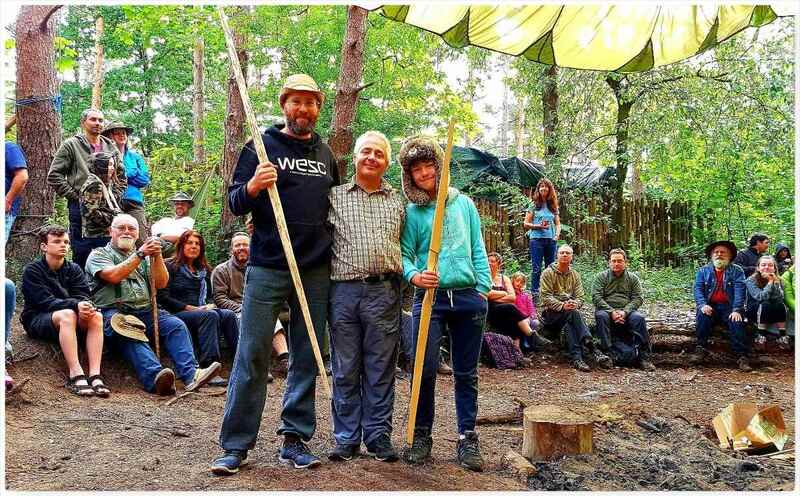 David Willis (Bushcraft with David Willis) attended once again this year and his class was packed. The smell of fresh baking bread could be detected from afar and I made sure I swung by the class a few times. Alison attended the class and we were well set up for bread for the next couple of days. There was plenty of wood working going on as usual this year. Ed Livesy ran a busy class on carving a Figure Four Deadfall mechanism, Roy Budd was running the pole lathe continuously every day (where he got the energy I do not know) and I ran for the first time the Dovetail Campfire Crane class. This class on the crane I will run again next year as a lot of people have never heard of it and became very interested in it after seeing what my students created. It is basically an adjustable crane made out of one pole. Food as usual plays a big part in the life of the Bushmoot. The communal meal was a great success again, Tony got himself a lovely birthday cake and the kids enjoyed a few evenings supping hot chocolate around the fire. It must be getting on 6 or 7 years we have run the archery range with the competition later in the Moot. We have sessions run most evenings and the competition is broken into two parts (kids and adults). I received many great presents to give away as prizes so thanks to all who donated. The winners are each to receive a handmade bow from Wayne Jones (Forest Knights). On a down side my Holmegaard bow snapped this year at the Moot. It has been a trusty bow since I made it 8 years ago and it has been used by hundreds of people on my courses. I did though get an Elm stave from Chris Claycomb – so that is a project for the winter. Another first for me was running the Damp Wood Log Rocket stove class. 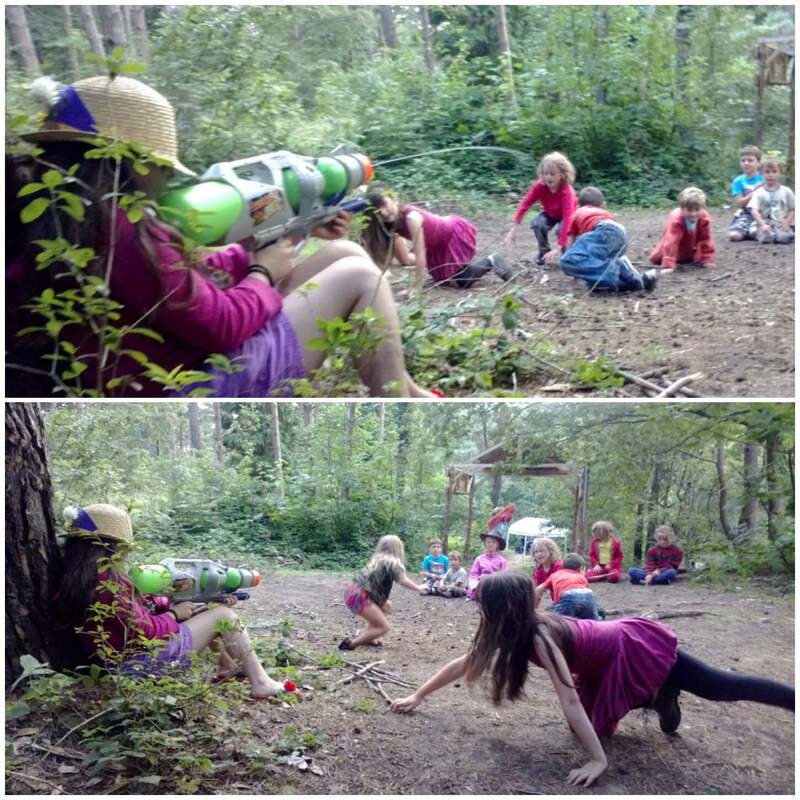 The rain we had earlier meant that all the logs were damp (the spray was hitting us in the face when we split them) so it was great to see after all their hard work all the students managed to get their log rockets fired up. As you can see I did take a few pictures at the Bushmoot however there were a few special ones to me. Below are three that I really was glad they turned out so well. The first one was a moment I captured when taking a picture of the battery candle sitting in basket of carved flowers. Mark was just saying goodbye to Tony with a manly hug when I pressed the shutter. Next was sitting beside the beautiful artwork created by Keith Beaney. Every year Keith comes along and patiently creates these works of art for us all to enjoy. And finally one day someone pointed out to me a dragonfly sunning itself next to the shower block. This little fella was not moving for anyone and really let me get up close and personal to photograph him. There were too many workshops run to be able to attend them all (approx. 110 were run over the core days) however keeping my trusty Nikon with me I managed to capture a few moments from just some of them. 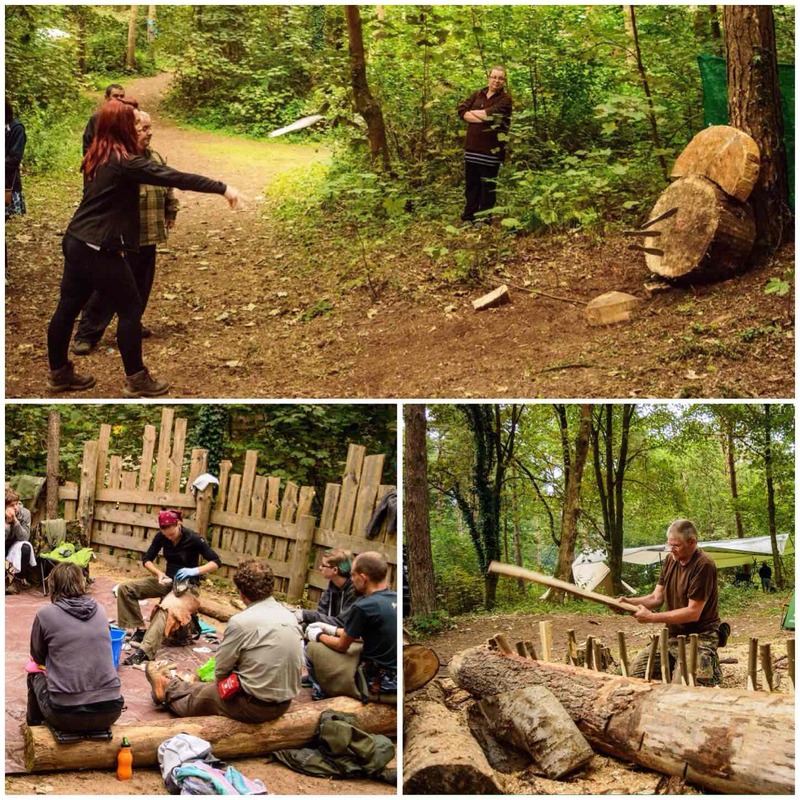 Wayne was busy teaching knife throwing, Theresa ran a very busy workshop on flint knapping and Stuart spent two days splitting the most twisted trunk in the world without using metal wedges. 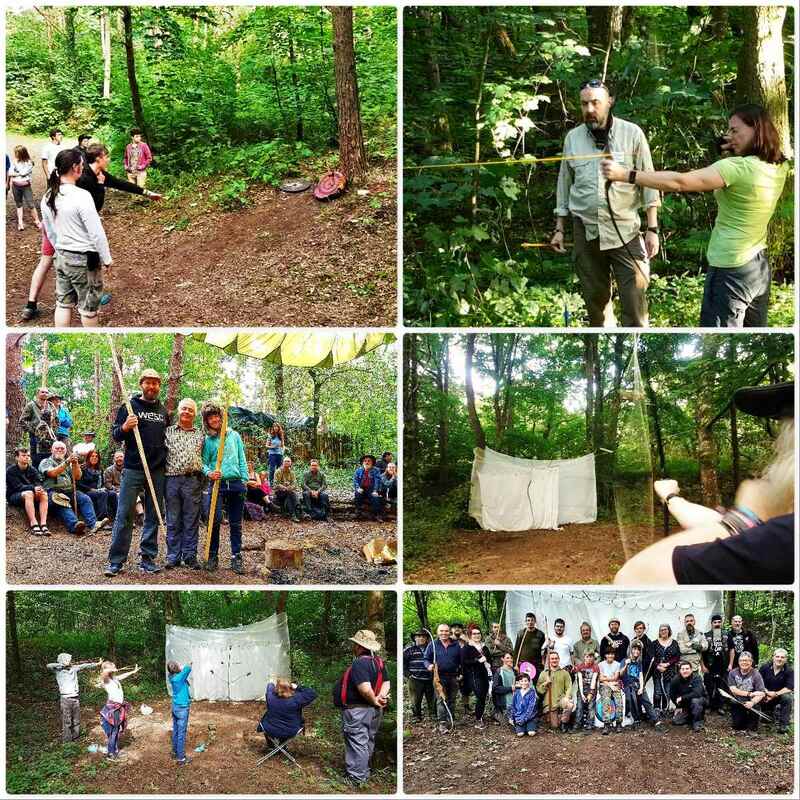 There were many, many more workshops run by different instructors, I saw some, photographed some but missed many – that is the nature of the Bushmoot for you. So if you are into activity holidays that do not cost the earth then head on down to the Bushmoot next year. 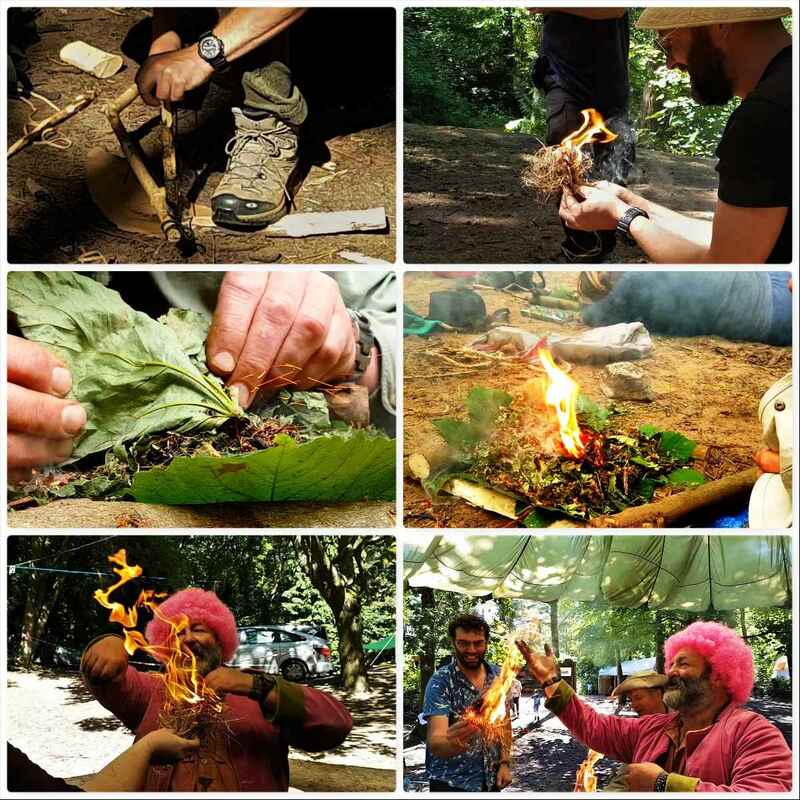 Recently I came across a video on You Tube from my friend David Willis who runs his own company called Bushcraft with David Willis. 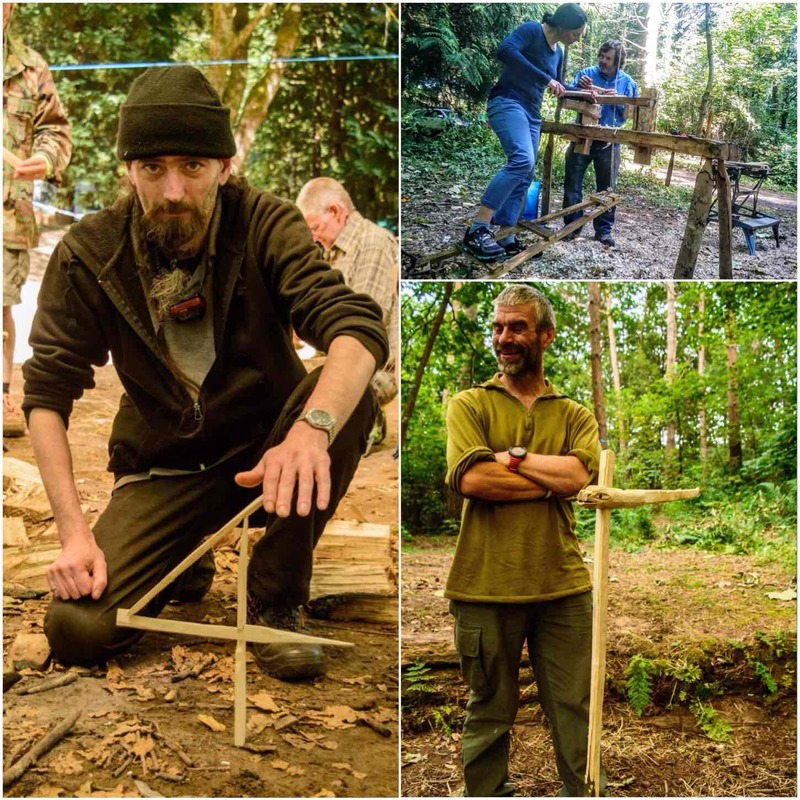 David teaches outdoor living skills, natural history and woodland crafts. 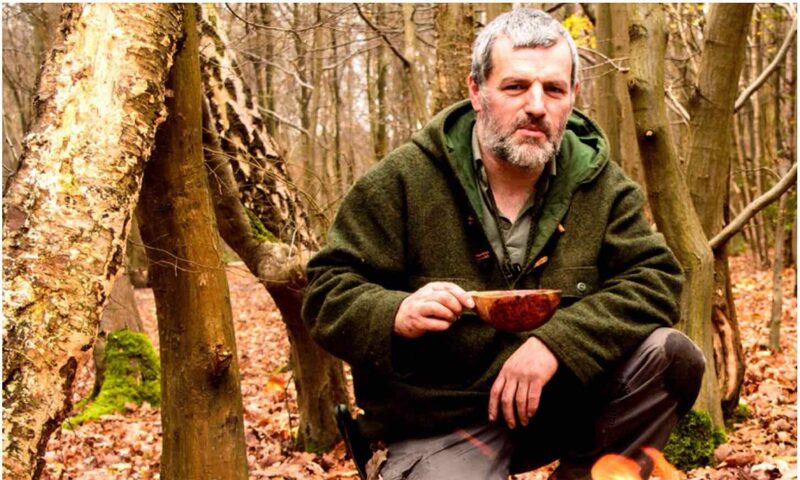 I thoroughly enjoyed the video so decided to write this blog post, share the video and tell you a little about this excellent fellow bushcrafter. I have known David for a number of years now and met him at a re-union of student who studied under John Rhyder of Woodcraft School fame. 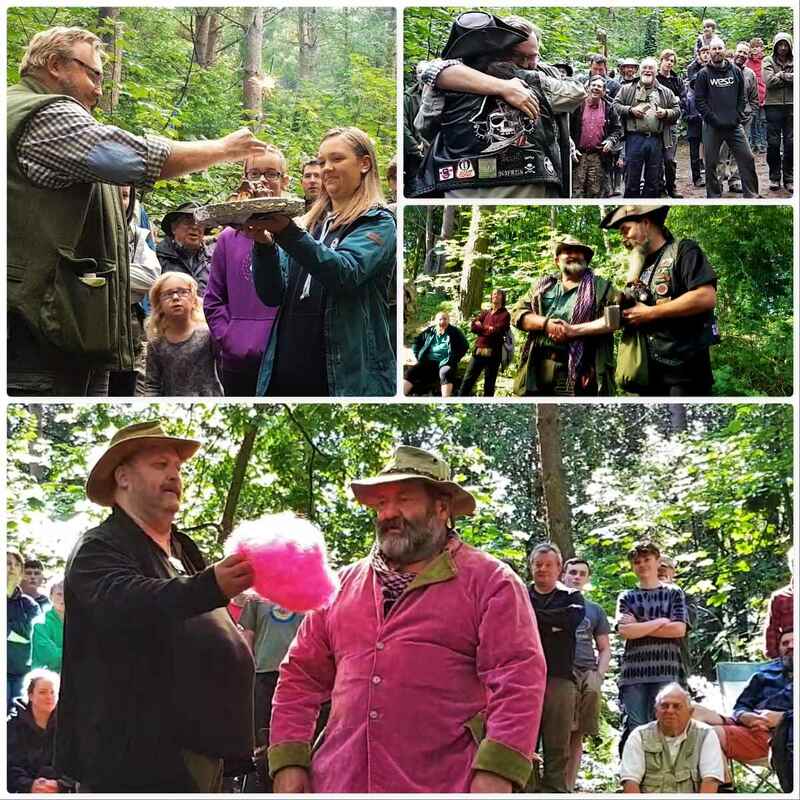 Last year at the BCUK Bushmoot David ran a number of classes for us and the Backwoods Baker class proved to be a hit. I was photographing lots of classes that morning but kept on coming back to David’s class just to take in the smell of the baking and get the odd morsel or two. 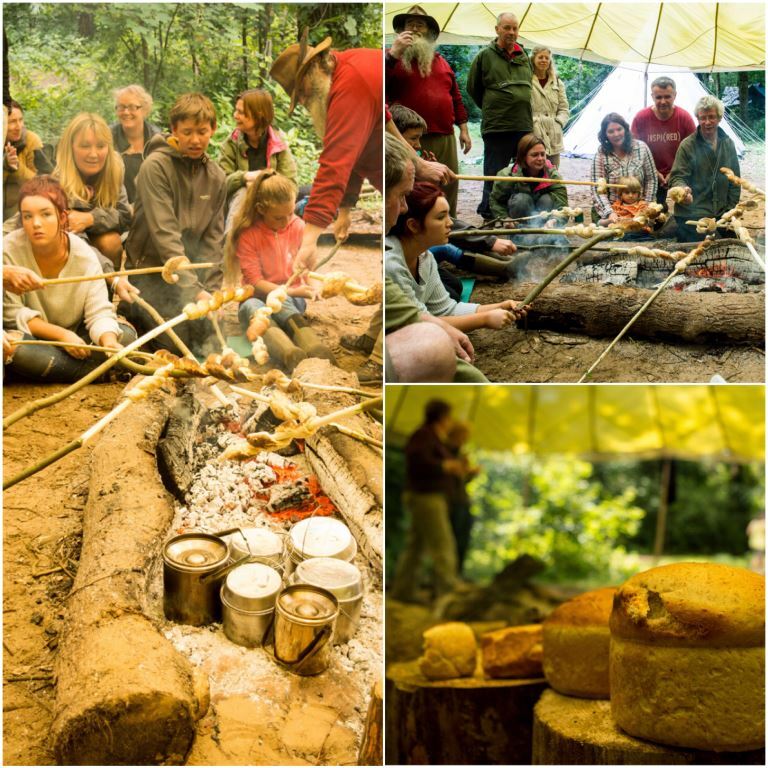 A week later at the Wilderness Gathering I met David once again and he asked if I could take a few pics of him running a class on Backwoods Baking – needless to say I readily agreed, got some great pictures and some lovely bread. 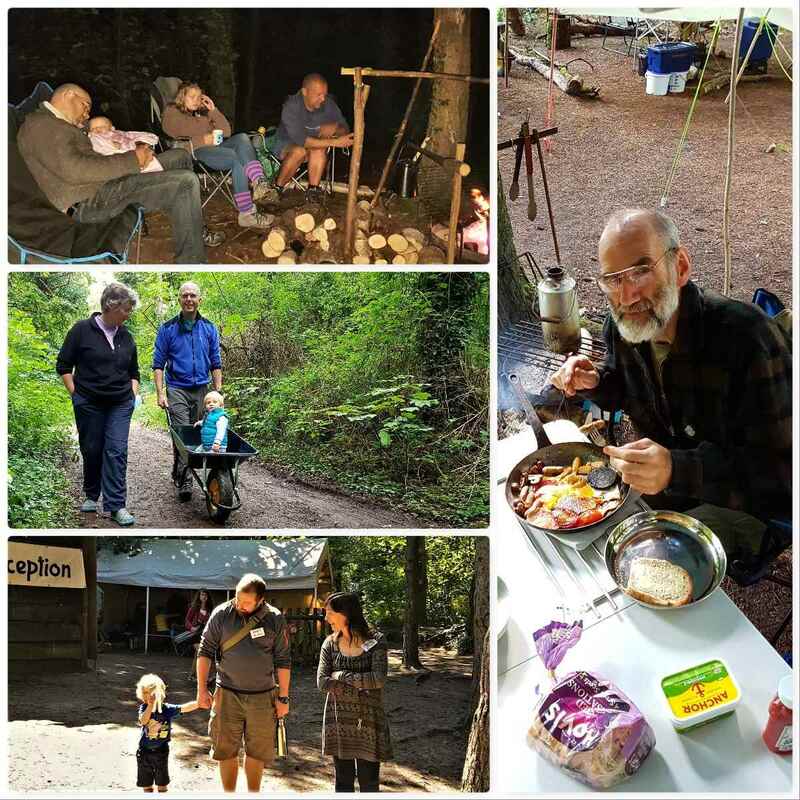 Keep an eye out on David’s website for his free Family Friendly Guided Woodland Walks. They are becoming increasingly popular and David will guide you through the beauty of the Chiltern Hills. 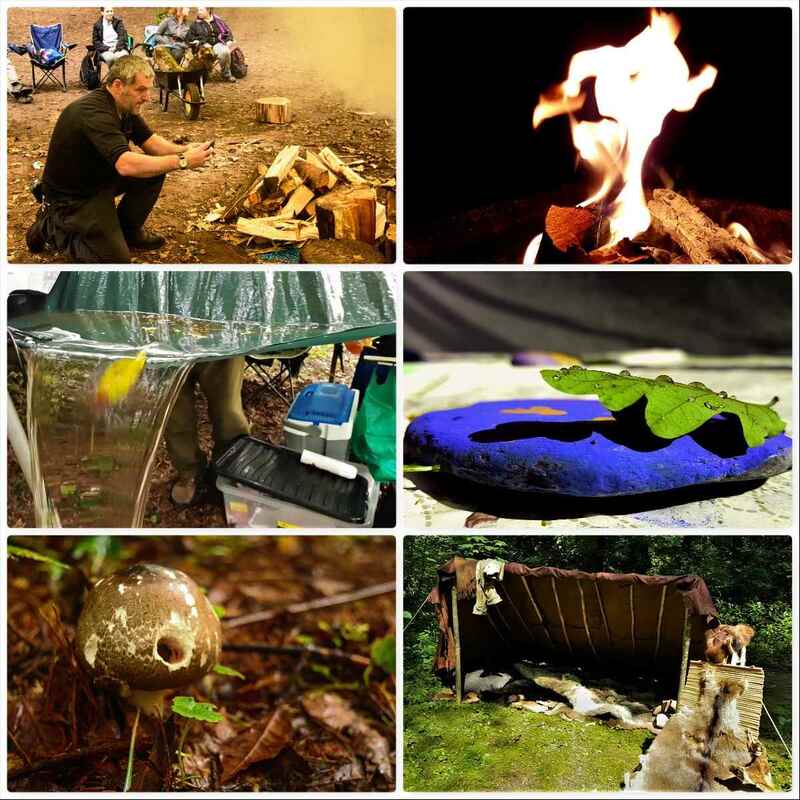 I am hoping that I’ll see David back once again at the Bushmoot and the Wilderness Gathering but in the meantime here is the video on one of his Backwoods Baker courses to enjoy. 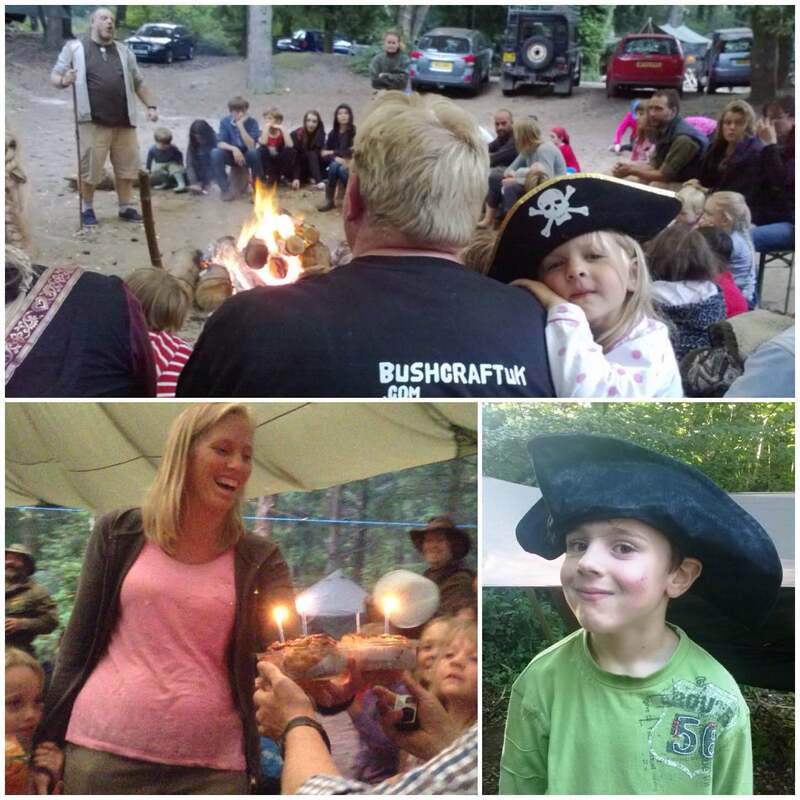 One thing that the BCUK Bushmoot is renowned for is its kid friendly environment. 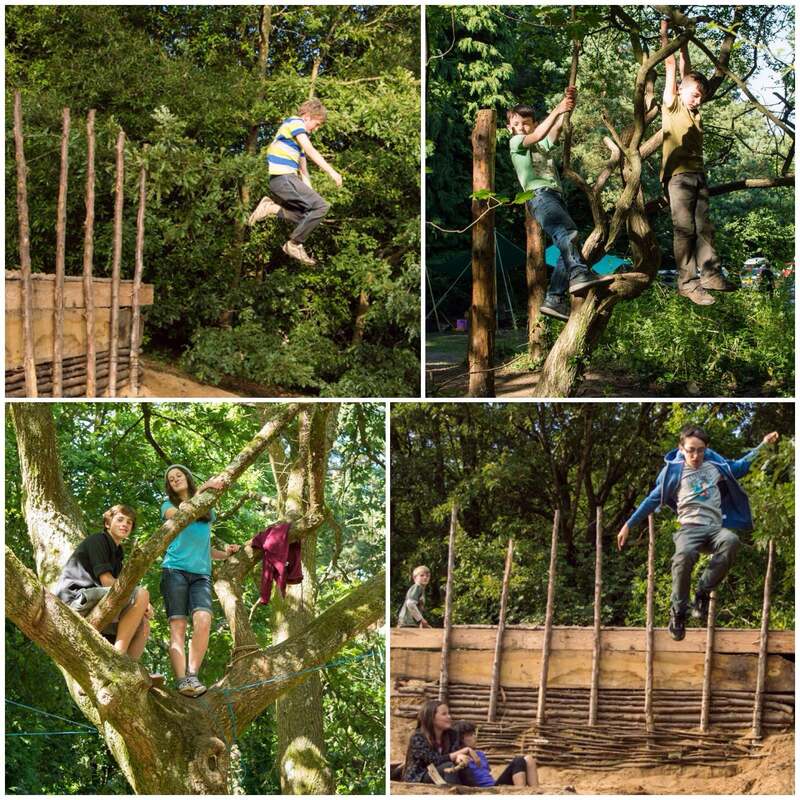 The Moot provides a massive playground for both structured (by lessons) and unstructured learning (through play). As I grew up as a kid on the Isle of Lewis I would head on out in the morning to find adventure and return home when my stomach demanded attention. As I live in a village now that has busy roads running through it the Moot is one of the few places I know of that I am happy for my kids to go out and make their own adventures as I once did. 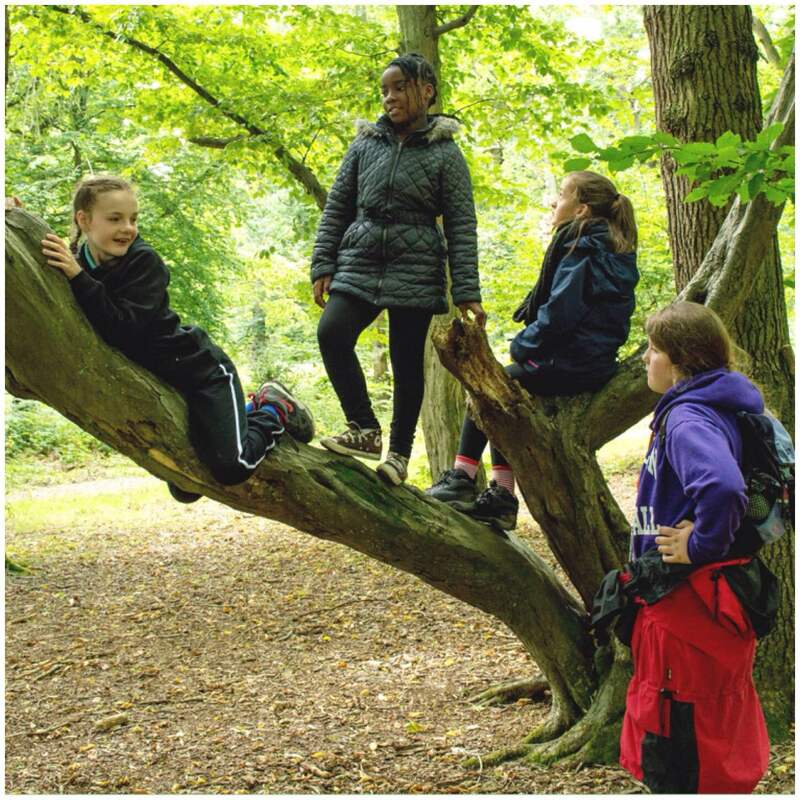 We stress that parents are responsible for their children however we encourage a sense of adventure. I let my kids run off and play within the main area of the Moot site and under adult supervision on the massive expanse of the sand dunes of Merthyr Mawr. 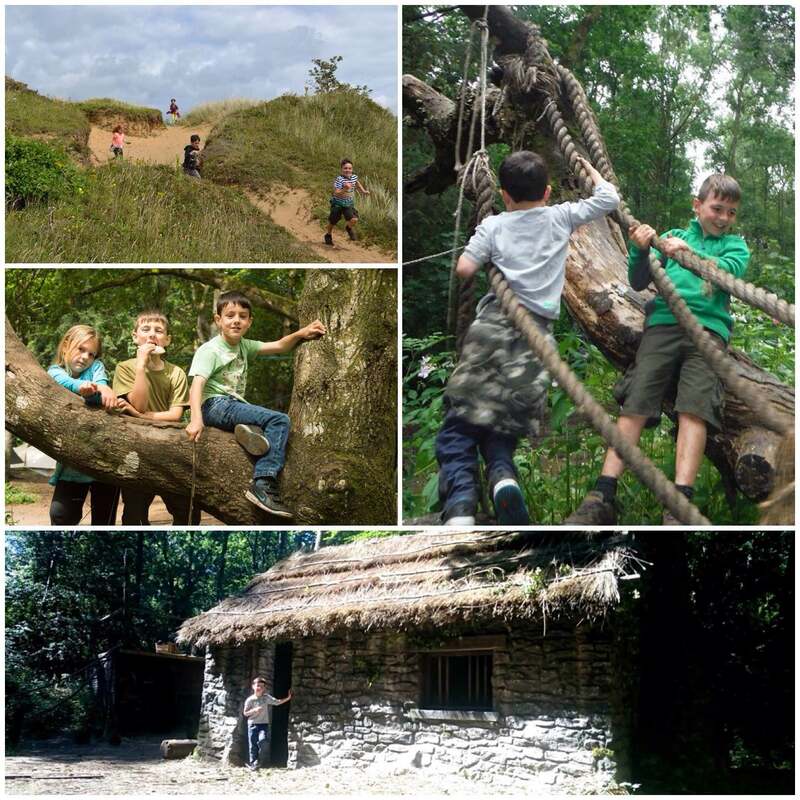 There are plenty of woods, dunes, trees and buildings to explore in the area around the Moot to satisfy the sense of adventure in any kid. 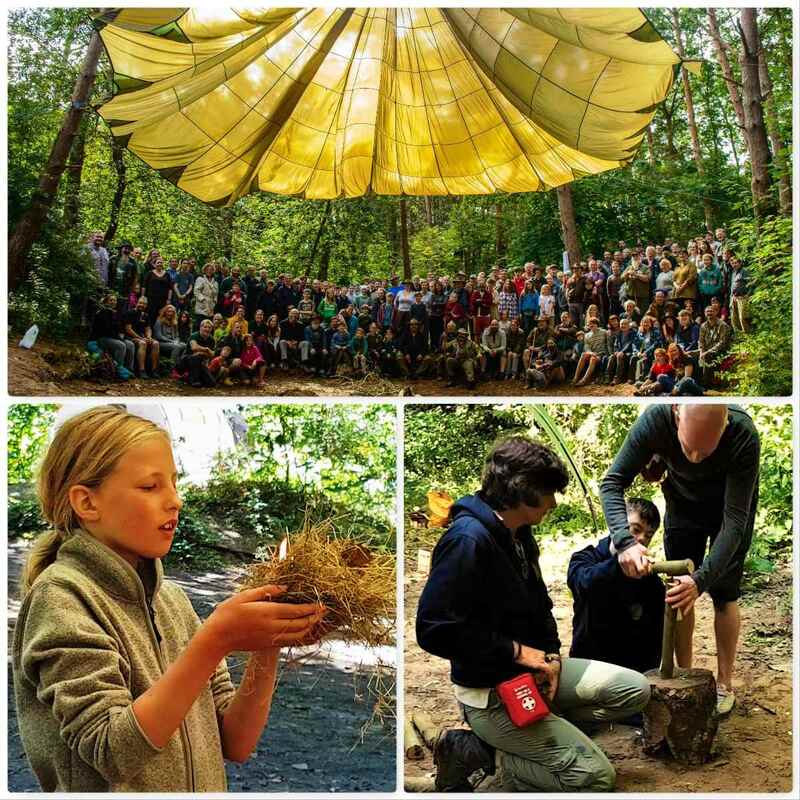 There are workshops specifically for the kids and other workshops where they learn alongside adults. 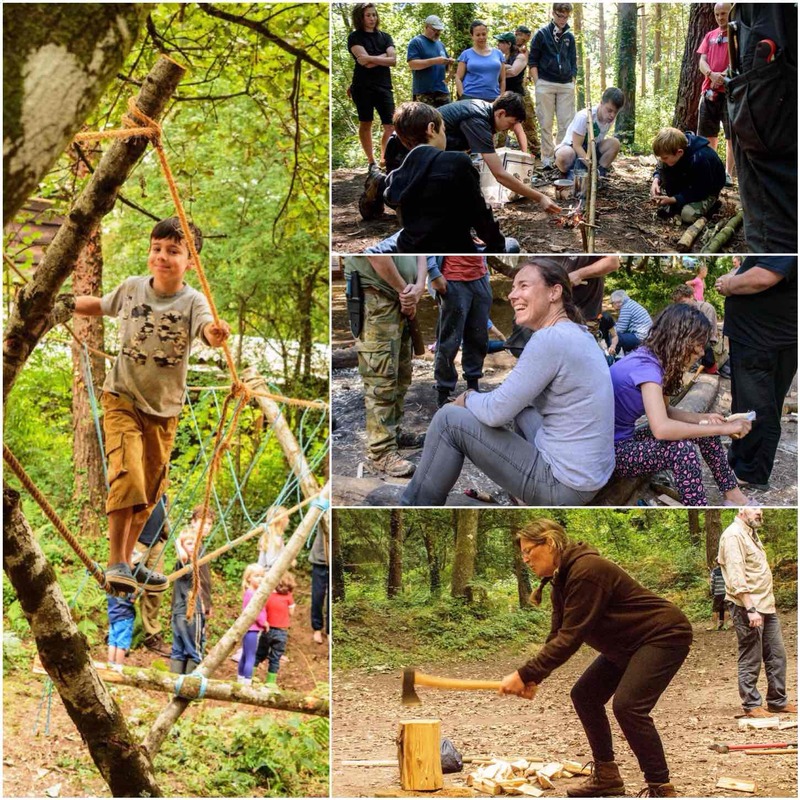 Kids are encouraged to attend the Starter Course we run for anyone new to bushcraft or looking to work on their basic skills. 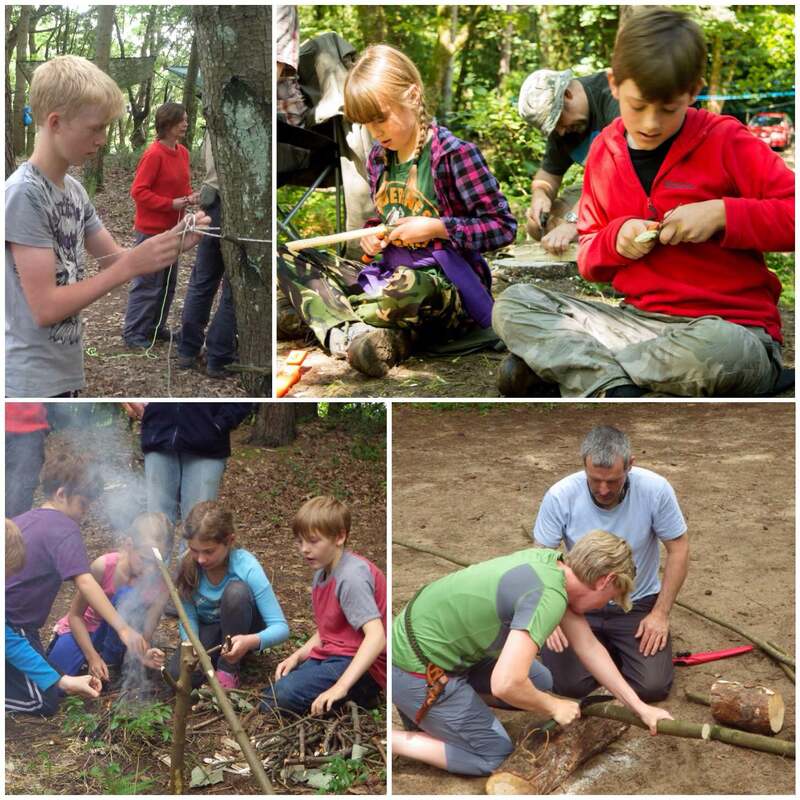 These basic skills include learning about knots, fire lighting, carving and safely using a saw (to name just a few). 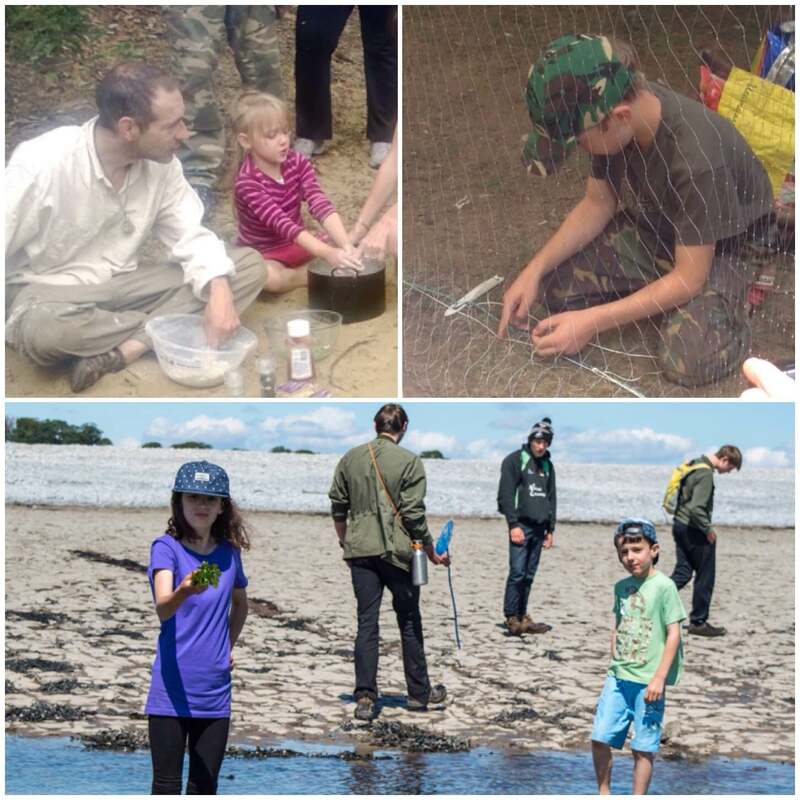 Wherever possible I like to get the kids learning these skills alongside their parents so that they can work together later as a family. Kids under 16 are allowed to use knives and saws however they must be under the supervision of an adult when they are using them or carrying them. 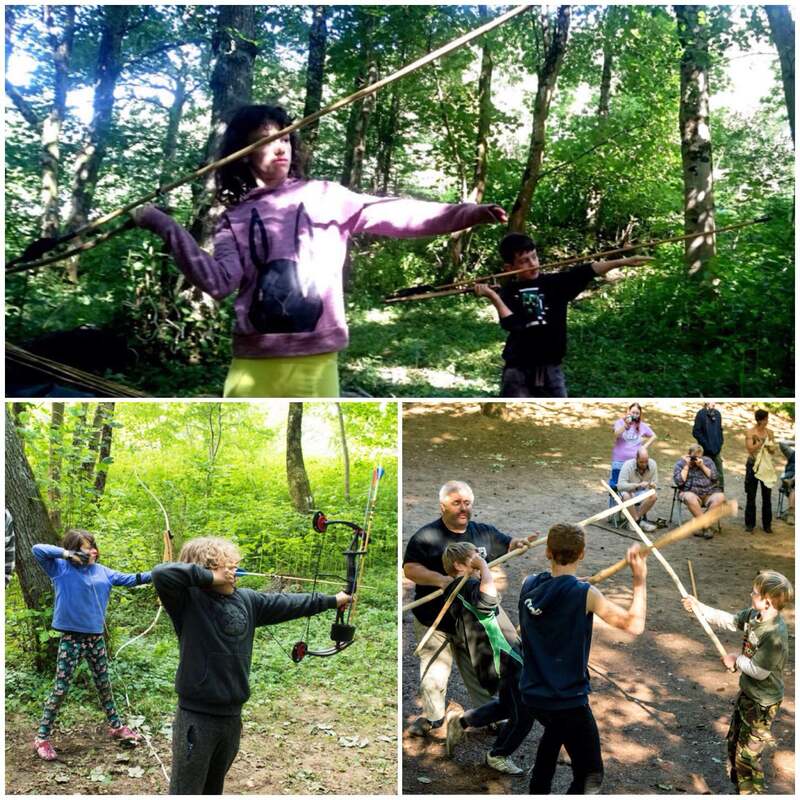 Even in this digital age of the xBox and the Playstation kids are always attracted to sticks, be that the Atlatl, bows or staffs. I like to think that the classes we teach kids bring some of that make believe digital world to life without any of the violence or gore. We always teach the kids to treat these tools with respect and only to use them when permitted. My good friend Fraser Christian of Coastal Survival has been coming to the Moot for a number of years now. Fraser is always keen to teach kids in his classes. 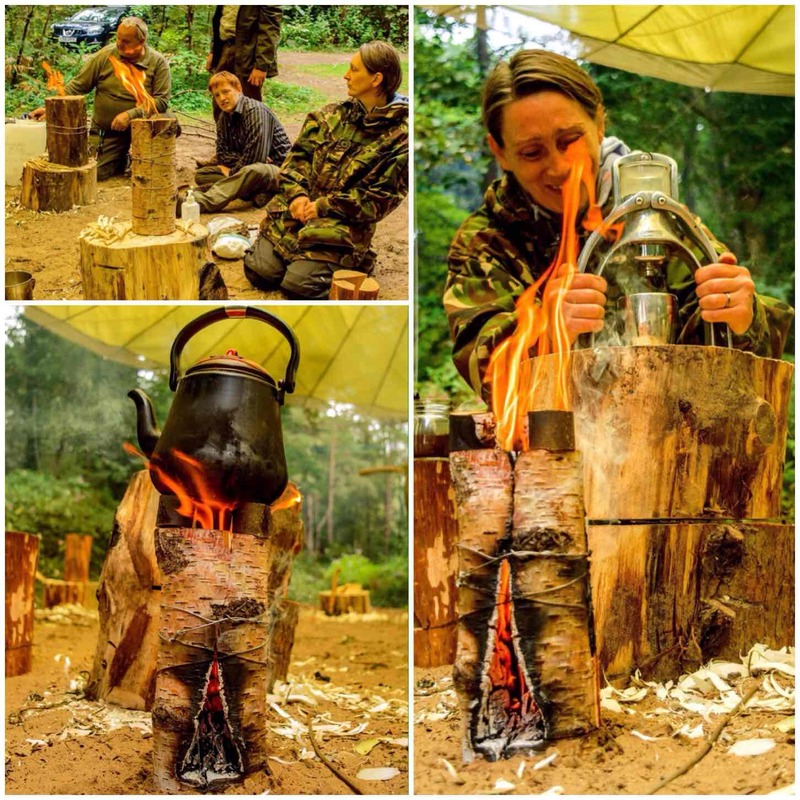 Some of his courses include campfire baking, net making, coastal foraging and survival training. One thing I love about the Moot is that it is situated on sand dunes that have over the years become a woodland. This makes for an amazing place to launch yourself of heights or climb trees. Natures own playground you could say. 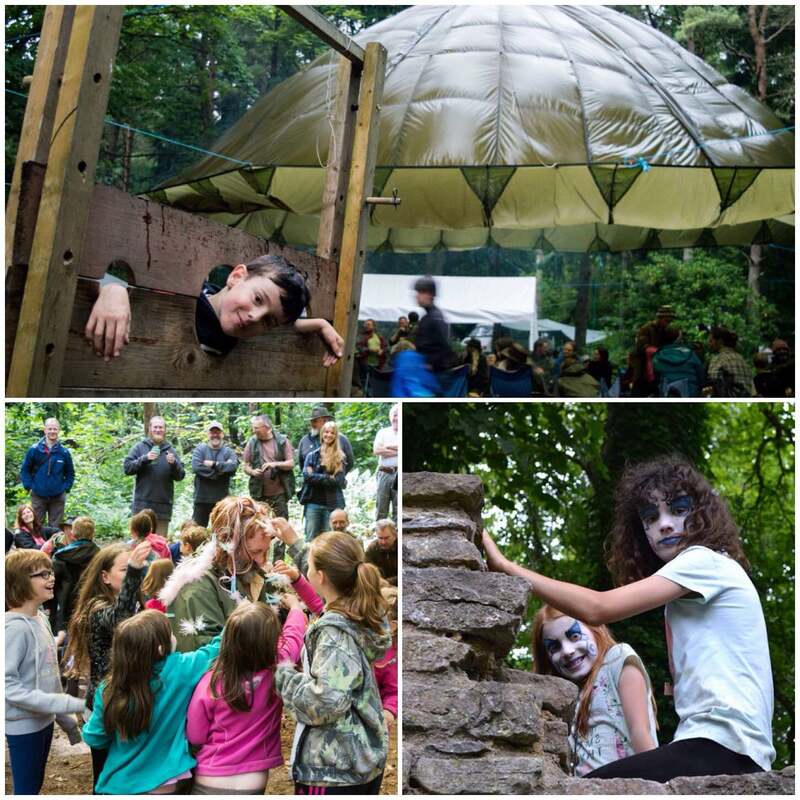 There are lots of activities aimed primarily at the kids from treasure hunts with our resident Pirates under the leadership of Cap’n Badger, to craft courses and games. One of the games I run from time to time is a stalking game. Below you can see the kids trying to leopard crawl up to get some sticks without being soaked. This is a great game to teach kids all about their senses and in particular about staying quiet in order to see more wildlife around them. 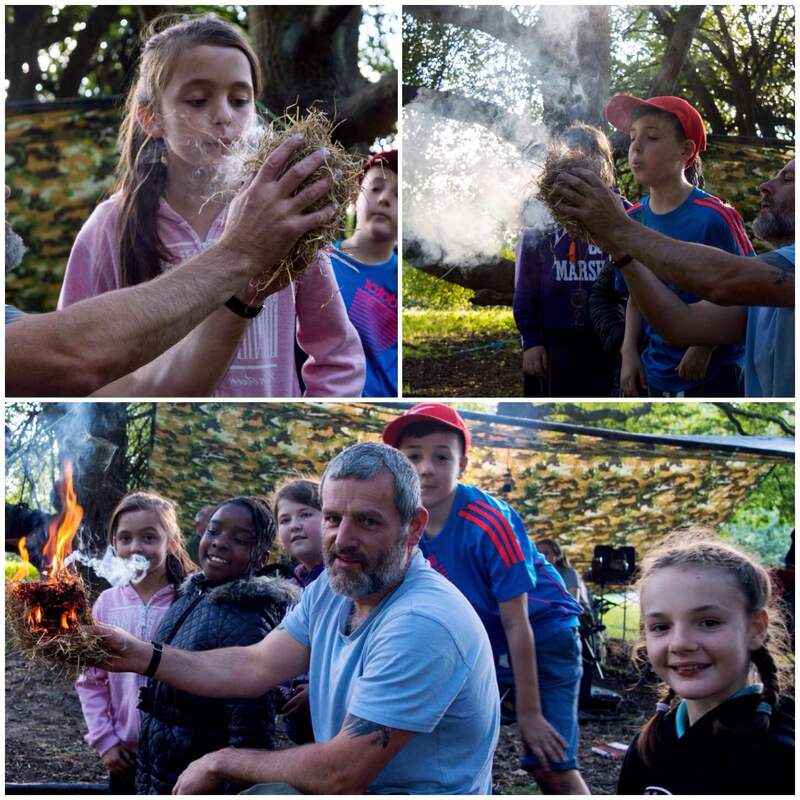 For many a year now we have had story telling sessions around the fire of an evening for the kids (and adults too). Womble is a great story teller and keeps the kids captivated with his interactive stories. The Moot is for kids of all ages be that young at heart (yes I mean you Spikey) or taking their first steps out in the adventure of life. My kids love coming along to see their ‘Moot friends’ and I hope they will continue to do so for years to come. 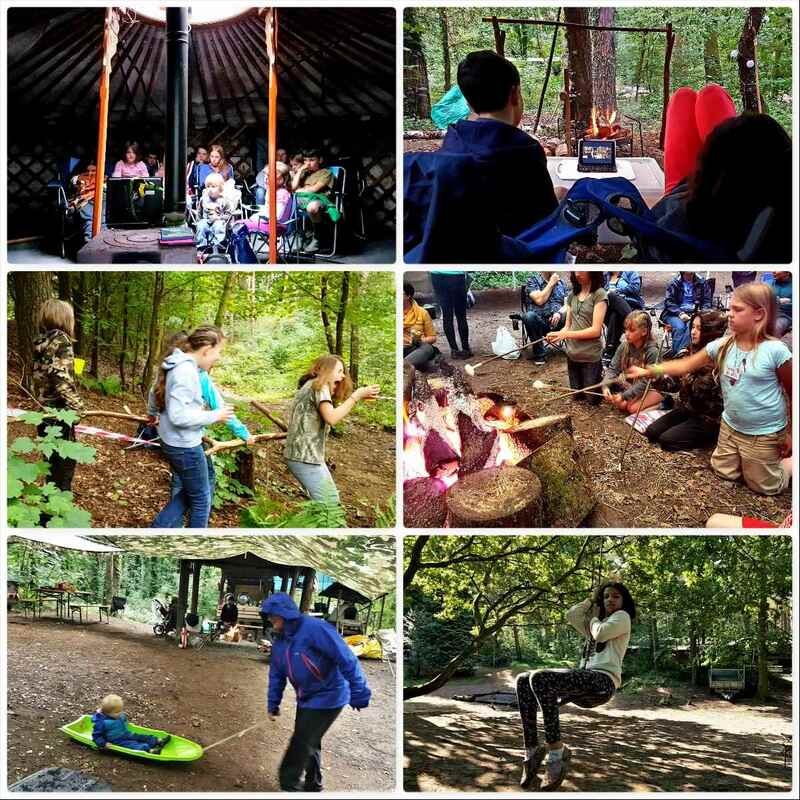 Looking at the BCUK forum I see that there is talk already about organising activities for the kids for next year. Sometimes in your life a little trip comes along that really lifts your spirits. This happened to me last September when my good friend Dave Lewis invited me along to a camp he had organised for Enfield Sea Cadet unit. 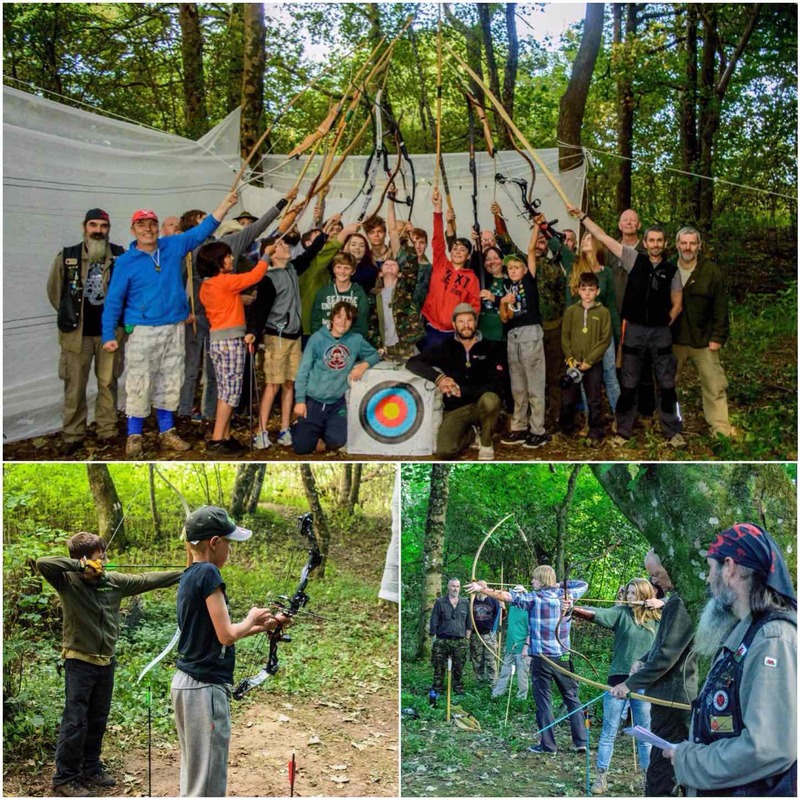 The camp was at Tolmers Activity Centre near Potters Bar (just North of London) and turned out to be a quite magical weekend. 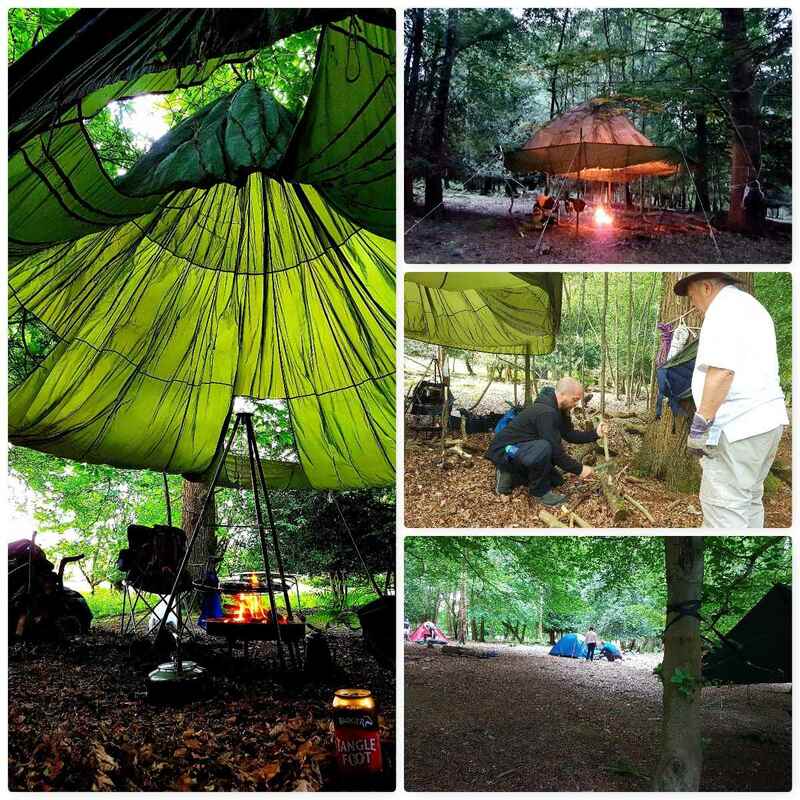 Dave was leading a training session for his older cadets for the upcoming Chosin Cup competition and he wanted me to work with his Junior cadets on their campcraft skills. After setting up camp I spotted a load of folks heading down to a small pond so I decided to follow on and see what was afoot. As I approached the pond I could hear a story being told about the ‘Lady in the Lake’ and all of a sudden the skies lit up. 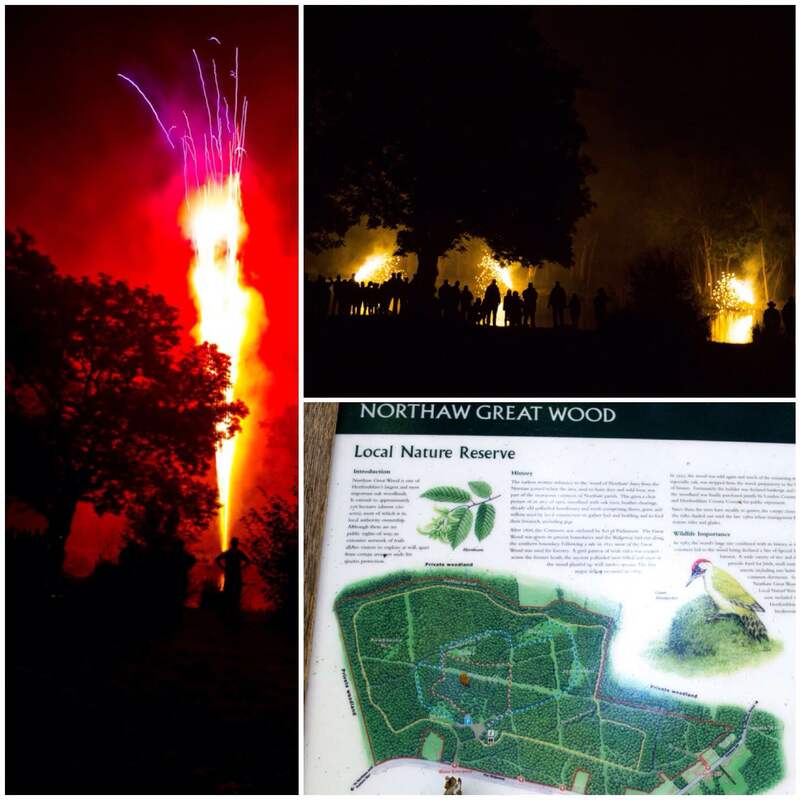 As I was just approaching the pond at that time I managed to get these two cracking shots of the fireworks going off. 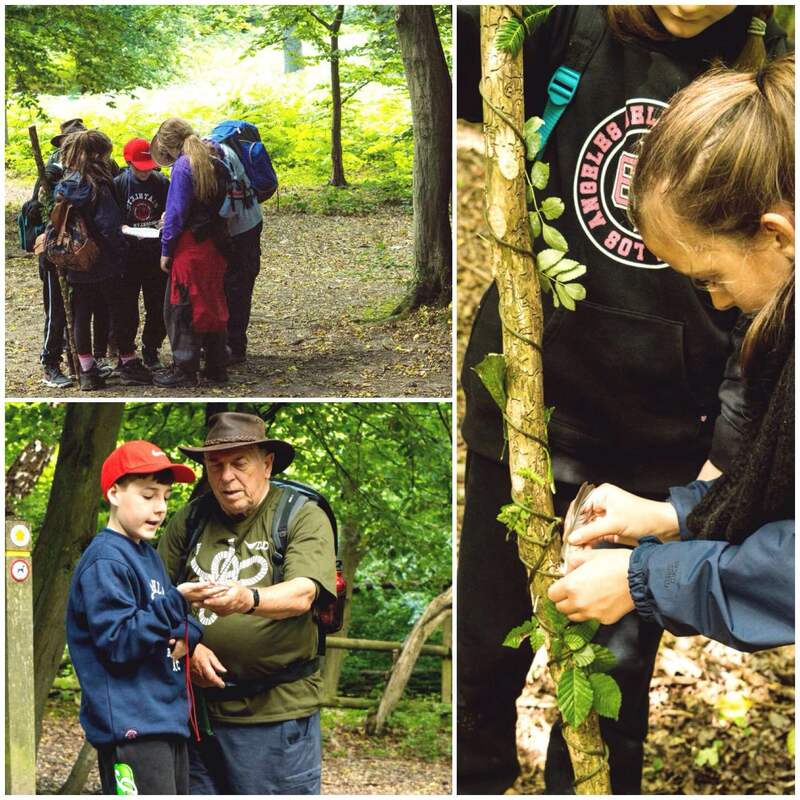 In the morning I took the cadets with some other staff members out towards Northaw Great Wood (a local nature reserve). 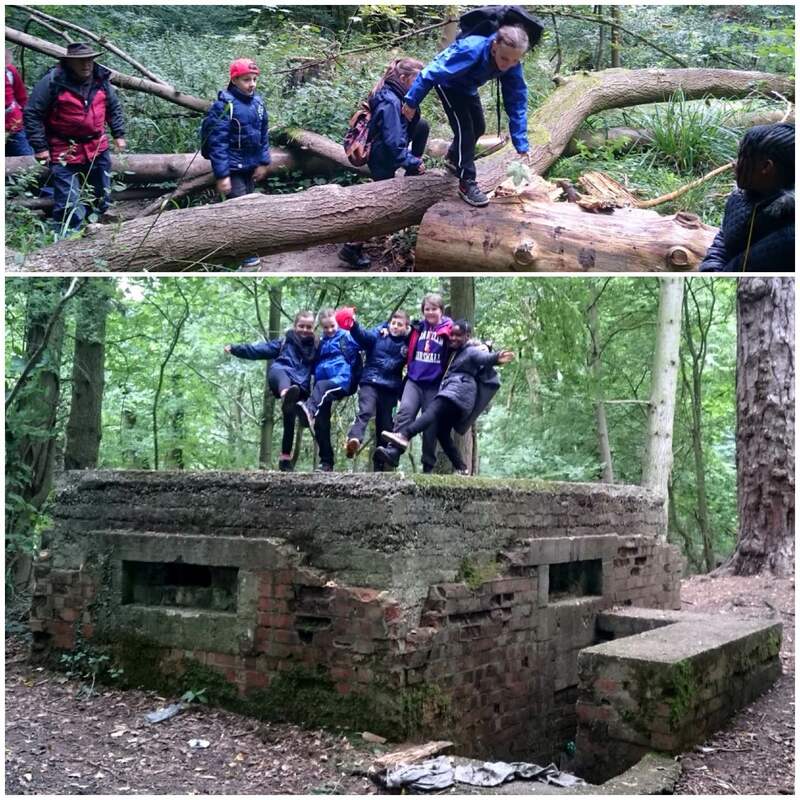 Along the way we had to scramble over some tricky terrain but managed to have a bit of fun when we found an old World War 2 Pillbox. 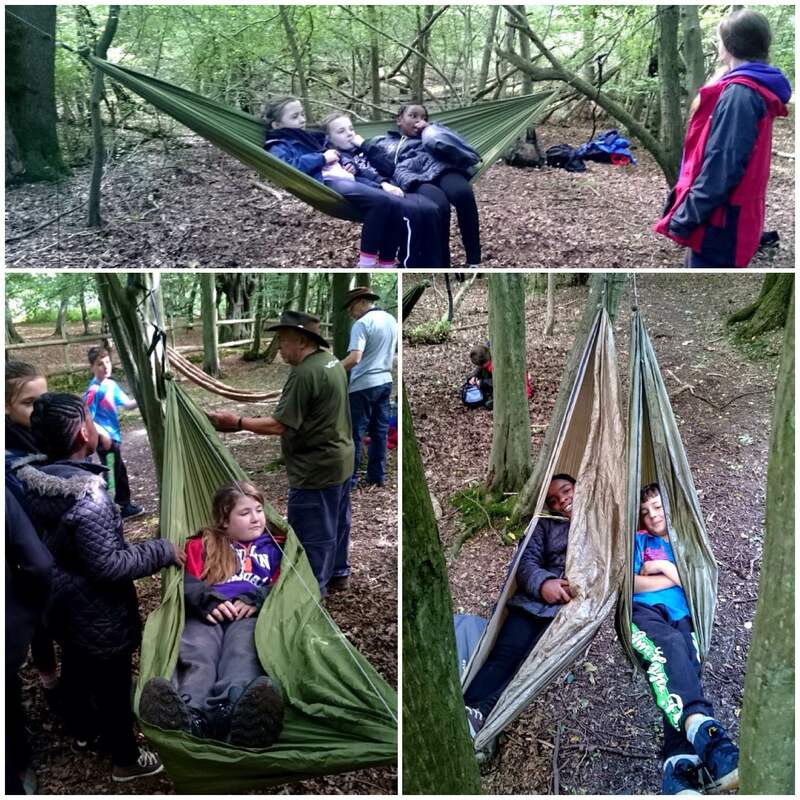 Once we got into the woods we found a lovely spot by a dried out stream to try out our hammocks. The Juniors had never tried hammocks before but soon got into the ‘Swing’ of things. 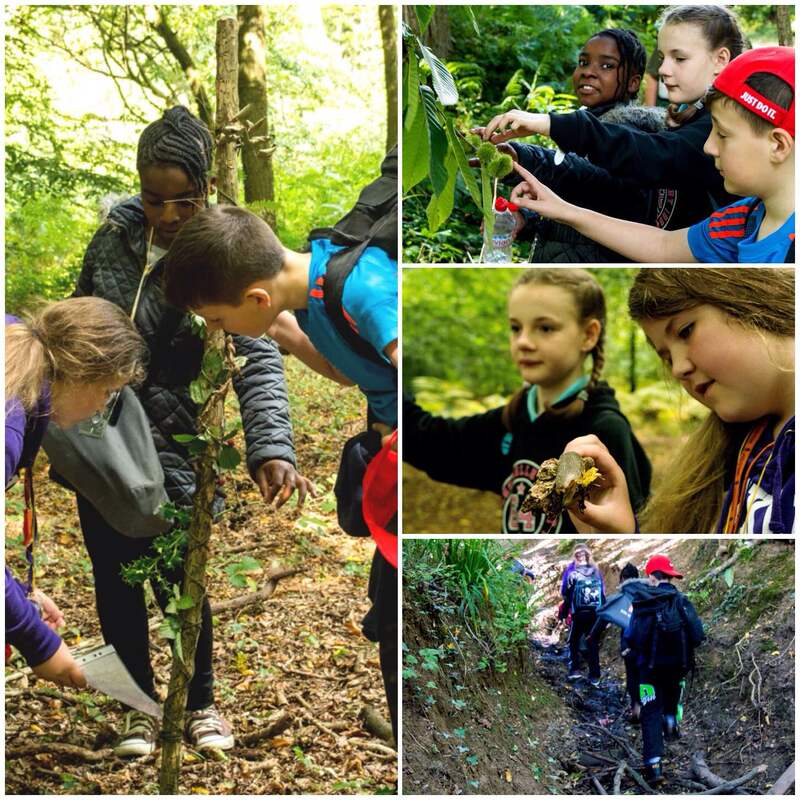 Our task on the weekend was to introduce the Juniors to basic Adventure Training skills such as using the map and compass, and to get an understanding of their natural surroundings. So as we were learning to use the map and compass we carried a Journey stick with us. This stick had string and elastic bands wrapped around it so that we could add different items we found along the way to it. 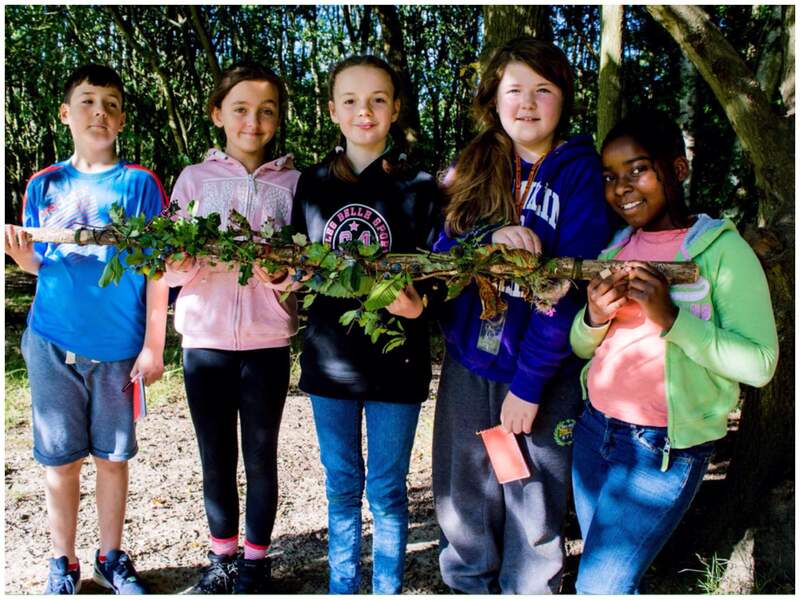 The aim of the Journey stick was to ensure that the Juniors kept a good look out for different plants and objects so that they could add some of them to the stick and so tell a story of their journey when they had finished at the end of the day. 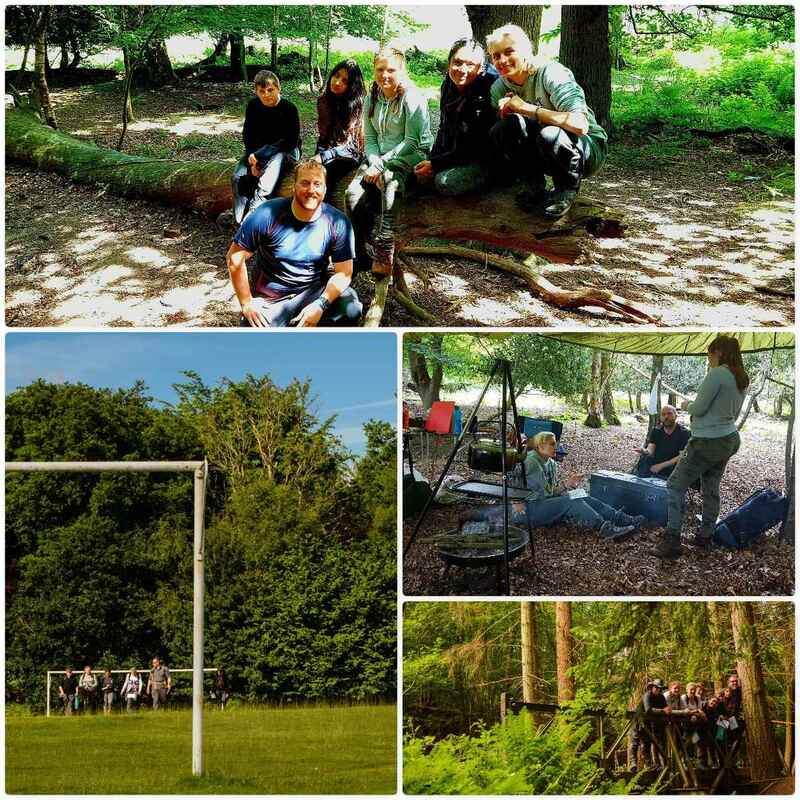 In amongst all this learning we took time out to climb the odd tree or two and just relax (the staff just tended to relax though). We spotted many different types of flaura and fauna on our travels and played a little naming game on the way. I got the Juniors to spot different trees and name them something they all agreed on – so the Sycamore became the Star tree, the Ash tree was named the Centipede and so on. They would walk through the woods shouting “There’s a Star tree” or “There’s another Centipede”. At the end of the day I gave them a chart so that they could figure out their given names. This method I find works well as I find that kids learn best when they are having fun along the way. When we got back to camp we had a very full Journey stick with no two items the same. The Juniors really worked hard to finish the stick and each took it in turn to walk with it. 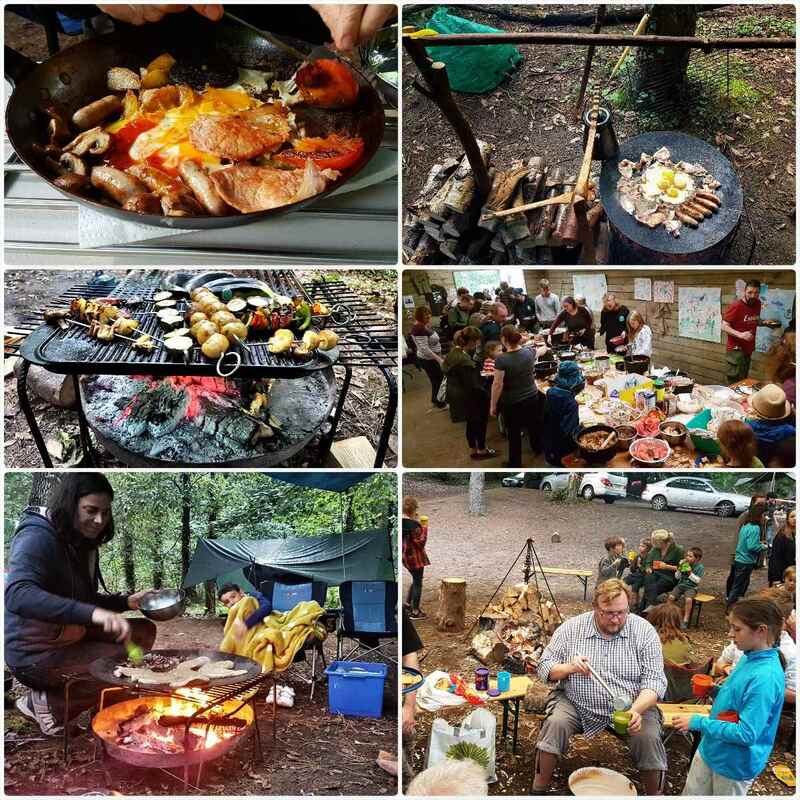 Back at camp we had a very busy campfire on the go with some great food being prepared by Alan and Dave Lewis. On the Saturday night we had a barbie and marshmallows, and each morning Alan cooked a fantastic breakfast with some lovely pancakes. 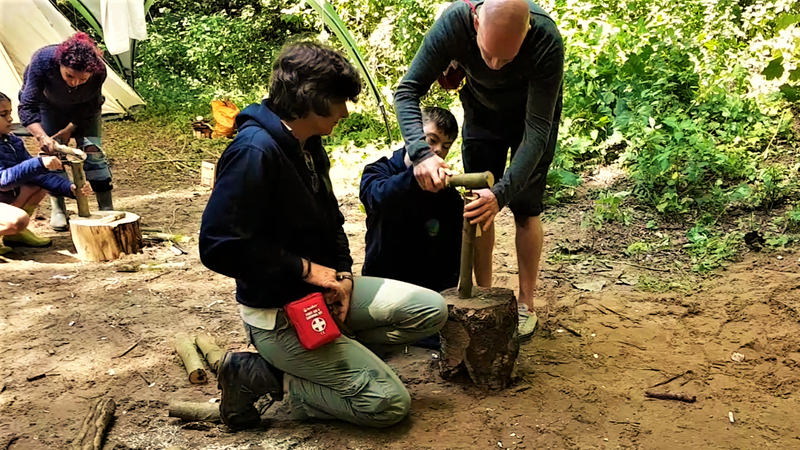 On the Saturday I had taught the Juniors how to light a fire using Firesteels so on the Sunday they all helped me to get an ember using the bowdrill. Each junior took part and we soon had a great big glowing ember. 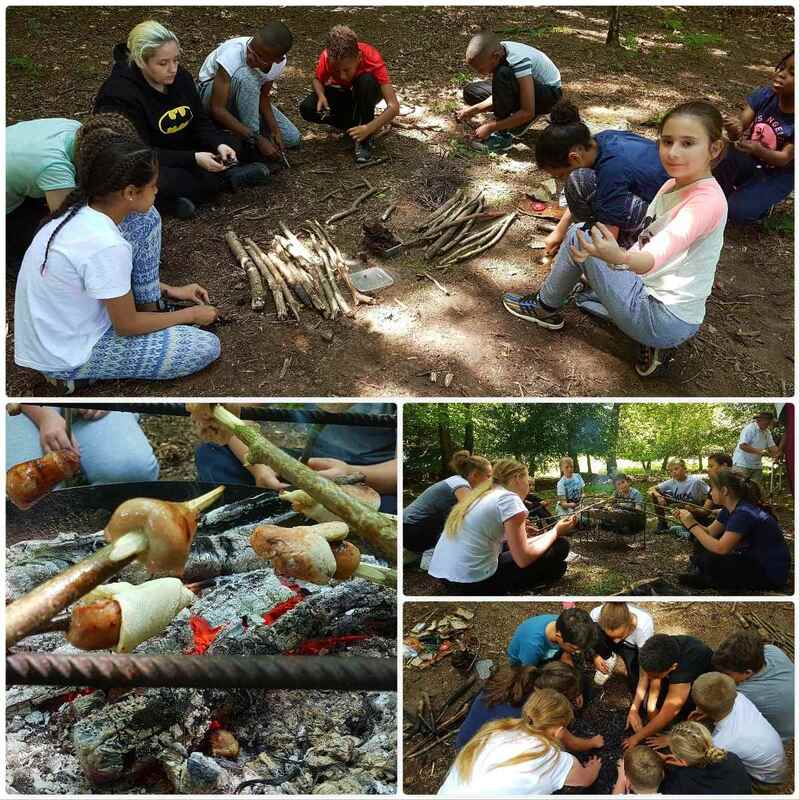 One Junior said that he had watched the recent programme by a ‘well known survivalist’ where it had taken the contestants two days to get a fire going so he was over the moon to get an ember in just a couple of minutes. 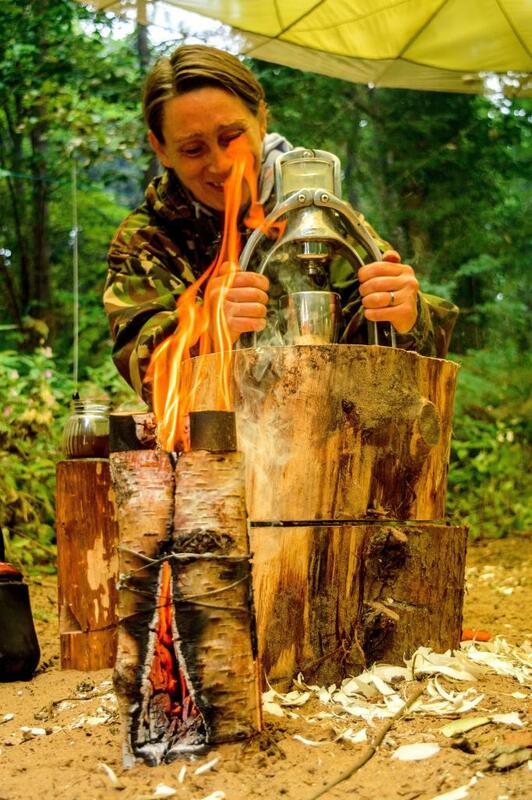 Once the ember was stable we popped it into a tinder bundle and everyone took it in turn to blow it into flame. I think the smiles on their faces kind of say it all about the experience they just had. Once we got the fire going properly Alan Lewis took the juniors on a cookery class. 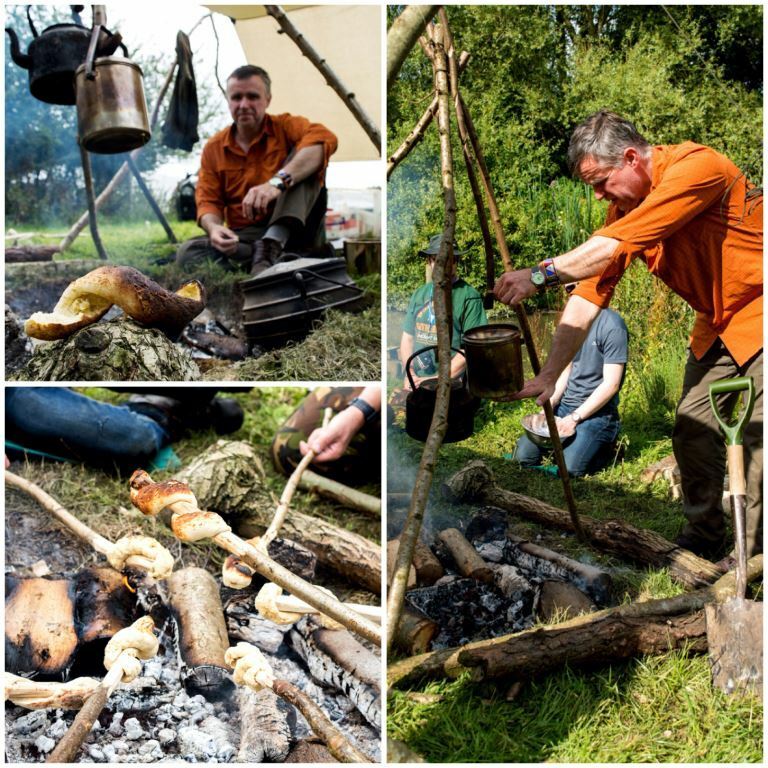 He got them to cook sausages over the fire and then to make up a bread mix. The bread mixture was then wrapped around the cooked sausages and in no time they all had their own hand made sausage rolls. While the Juniors were cooking their sausage rolls I wandered over to where Dave was working with his older cadets. 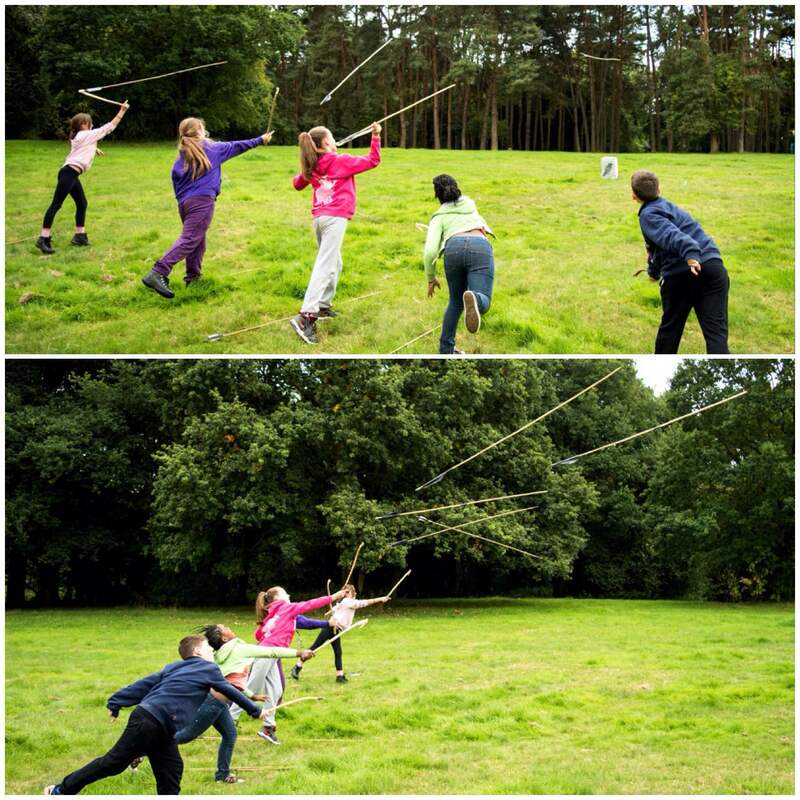 They were practising some ropework to set up a retrievable rope system for crossing a river. All this was in preparation for the forthcoming Chosin Cup competition in early October. To finish the course off for the Juniors I set up the Atlatl range on an open slope. It was not long before they got a hang of this primitive hunting technique and were soon landing darts on the targets. I finished the weekend still feeling as fresh as I started. It is not often I can say that about Sea Cadet weekends (I usually need a day or two to get over them) but the juniors were so keen to learn and were a real bright and keen bunch that I look forward to being invited again next year.